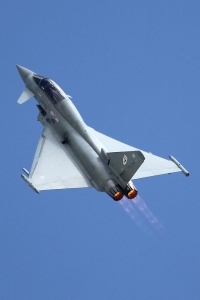 The second RAF show of the year is the RAF Waddington International Air Show. 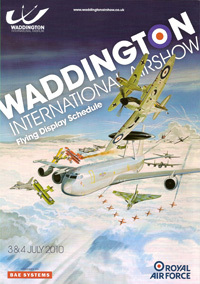 Waddington is also the first in a busy period of major airshows which includes Yeovilton, Flying Legends, RIAT and Farnborough. 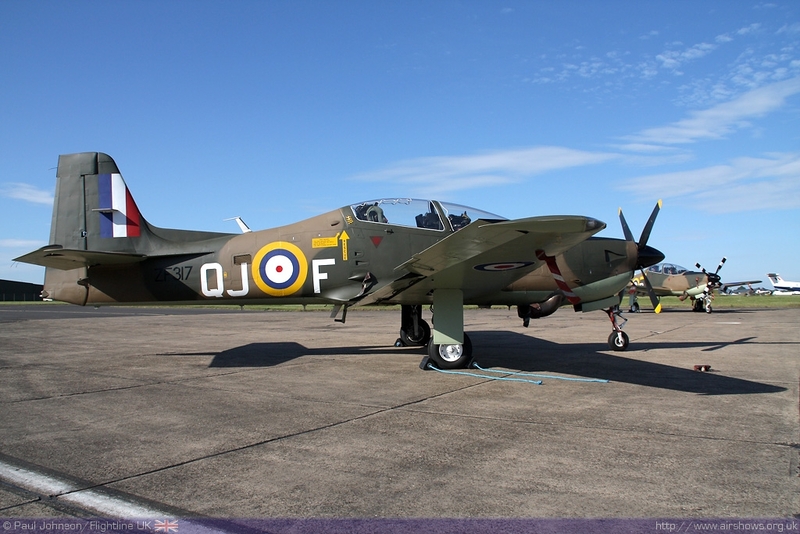 Naturally, one of the major themes of this year’s show was the 70th Anniversary of the Battle of Britain but that was not only theme! 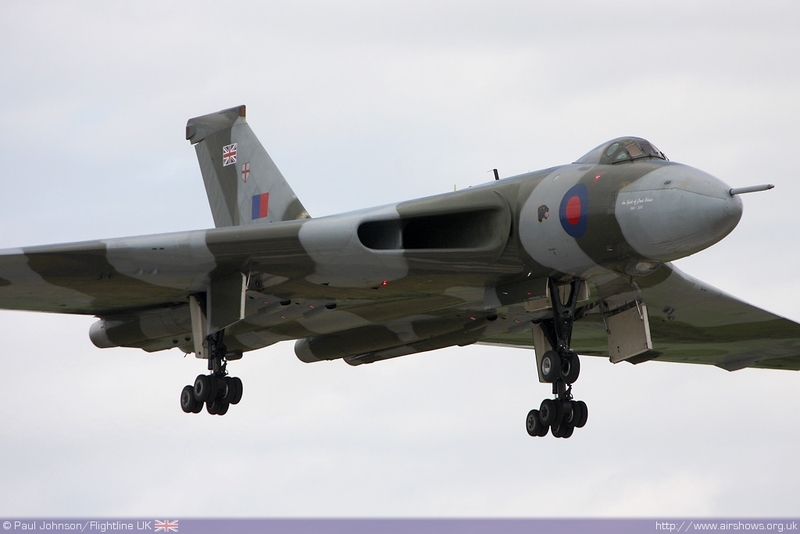 It has seemed that the headline story for the last two Waddington shows has been the Vulcan. 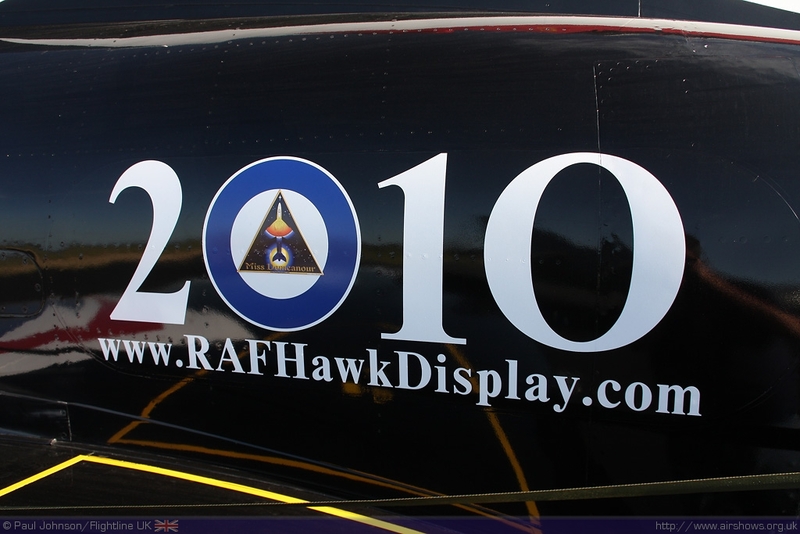 It's an aircraft that is surrounded by high emotions; 2008's show saw the display debut of the mighty bomber, 2009 saw the controversy over a lack of permit to fly and in 2010 we had the race against time to get the aircraft serviceable. What ever happened, it was going to be the headline story once again. 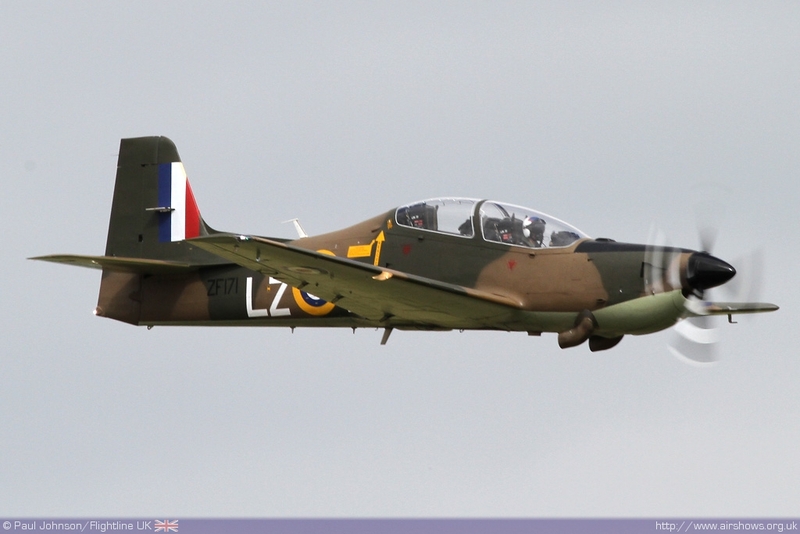 Paul Johnson/Flightline UK reports from Lincolnshire. 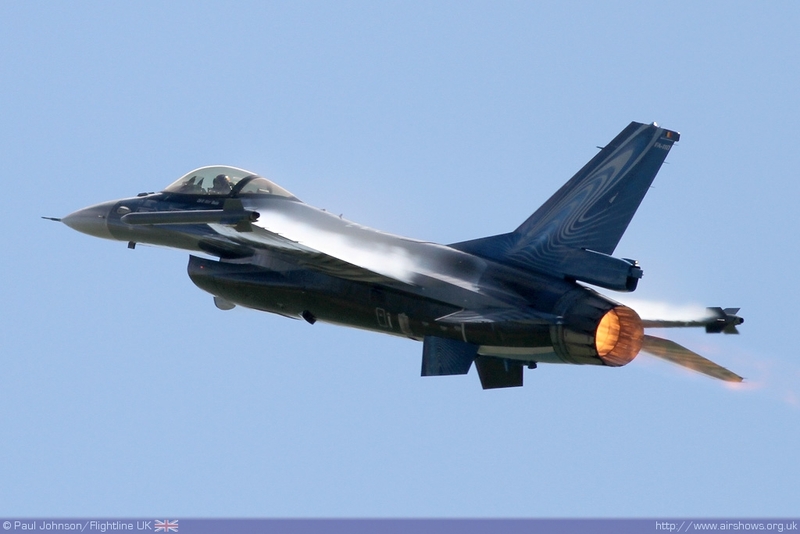 All photography copyright of the Author. .
2010 saw a return to form for the Waddington International Airshow. 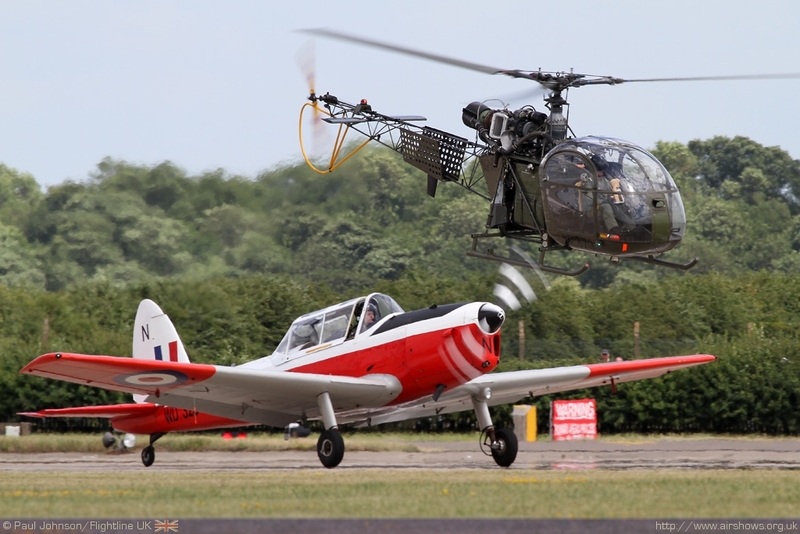 We've never failed to be impressed by the organisation of the event, but the show content has been a little below par in recent years, particularly the flying display. This year was a different story with some very welcome appearances from the Czech Republic, Belgium, Turkey and France. 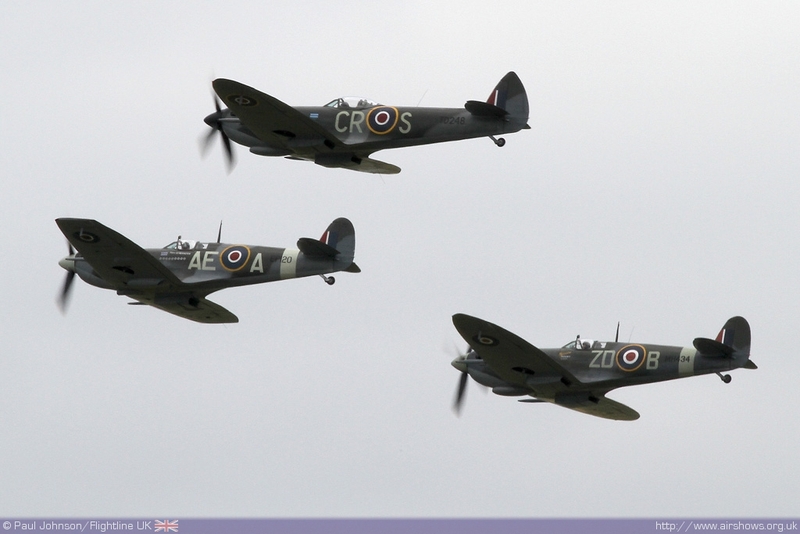 It was not just the Battle of Britain anniversary at Waddington. 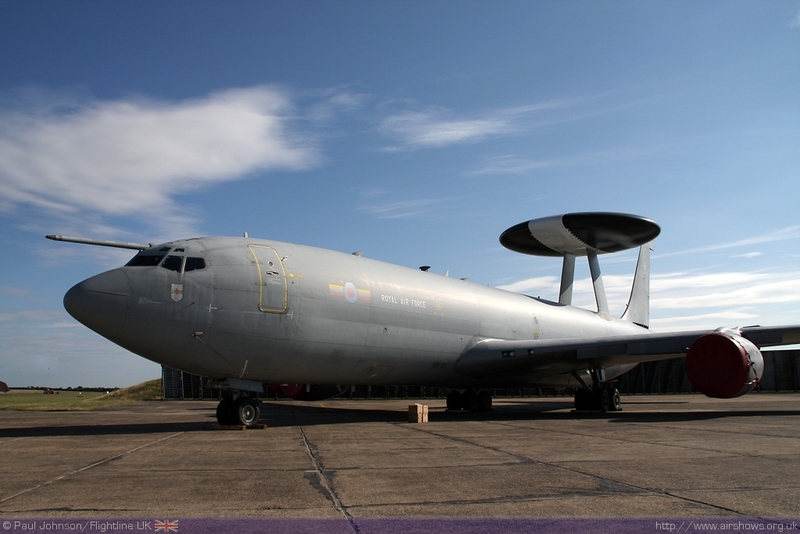 Today, Waddington is home to the RAF's fleet of seven E-3D Sentry AEW1 aircraft which have been in service for 20 years. 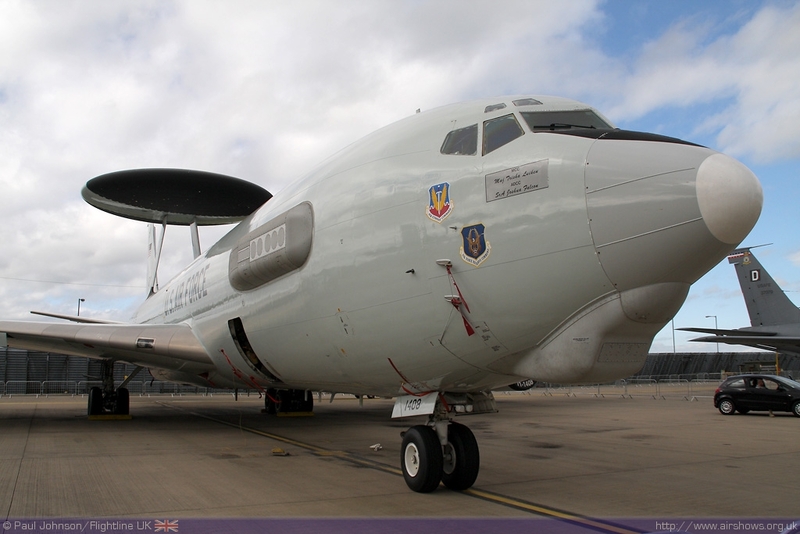 AWACS (Airborne Warning and Control System) itself is celebrating 45 years of service. To celebrate, Waddington had hoped to host a collection of E-3s though sadly both the NATO and French Air Force E-3s cancelled leaving just a rare United States Air Force E-3C Sentry parked alongside a slightly poorly looking RAF example! 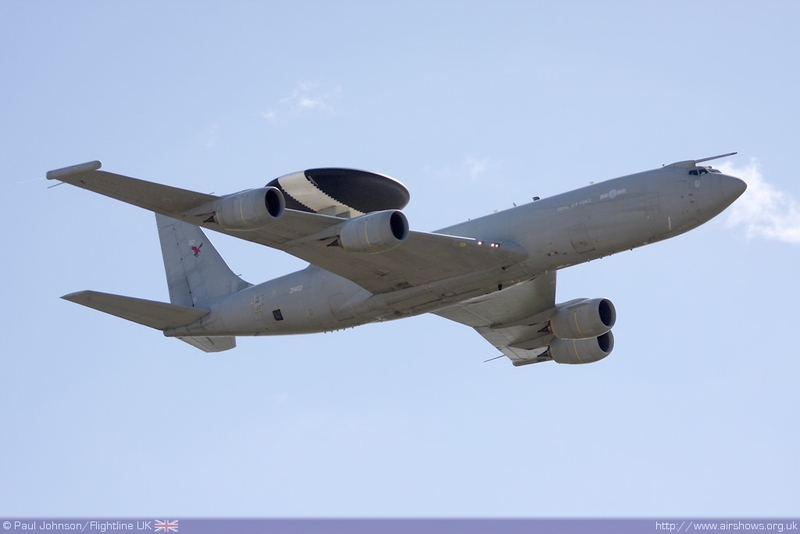 As is tradition at Waddington, one of 8 Squadron's Sentry AEW1s also took part in the show opening station flypast. 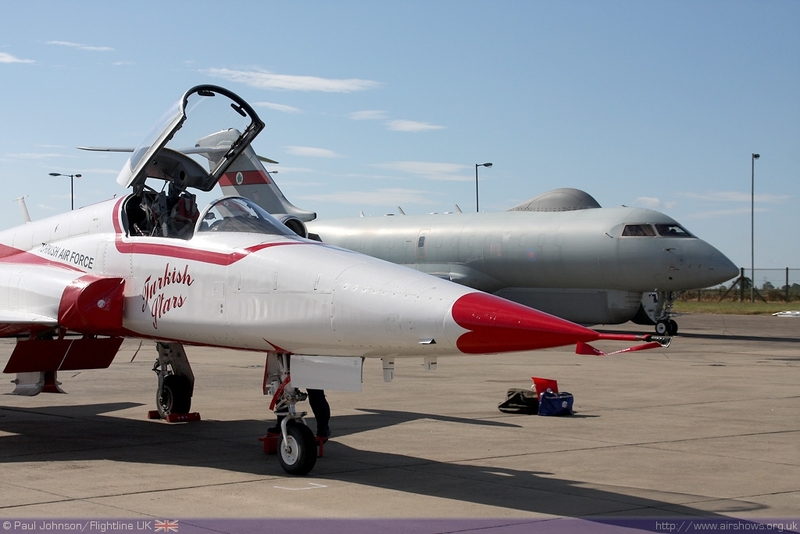 Waddington is also home to the rest of the RAF's ISTAR fleet. 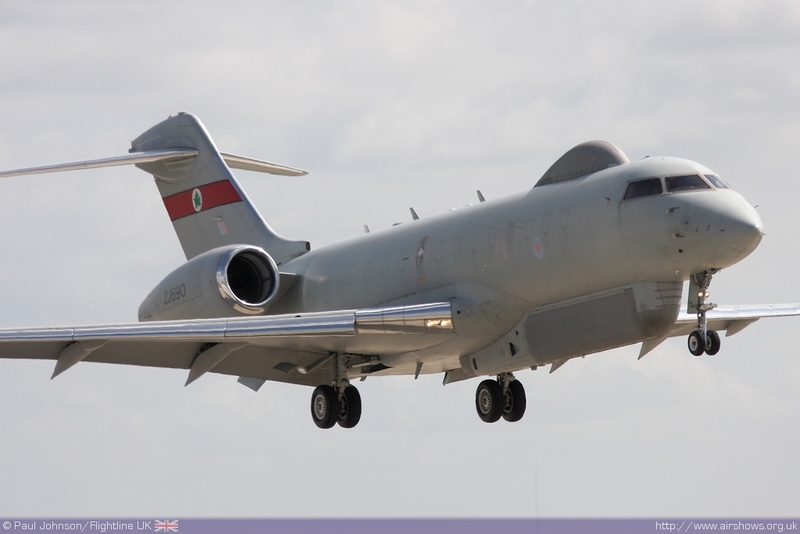 The 2010 show was the last chance to see the RAF secretive Nimrod R1 make an appearance in the air and on the ground at the show before it is retired in March 2011. 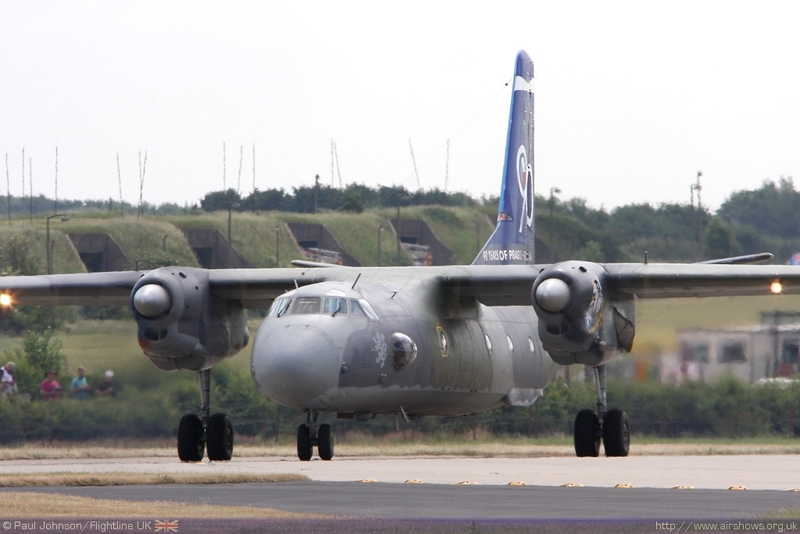 Also appearing was the Sentinel R1 both on the ground and as part of the station flypast. 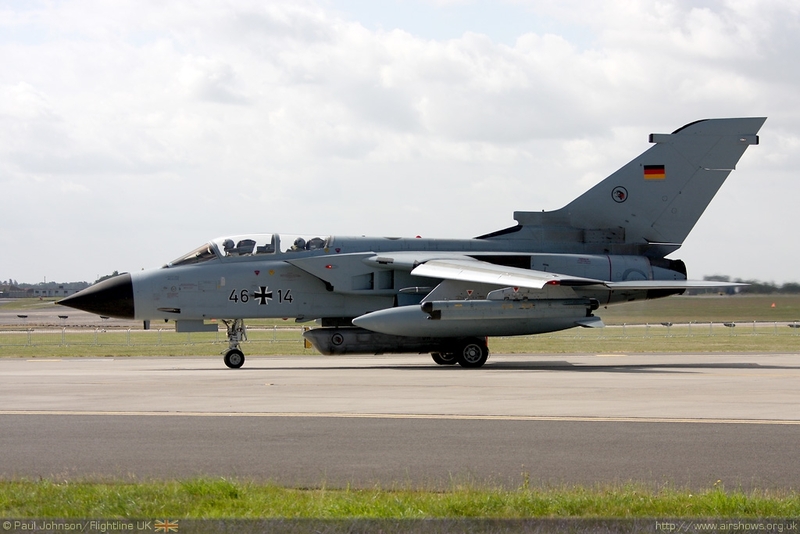 Its sister type on 5(AC) Squadron, the Shadow R1 remained elusive. 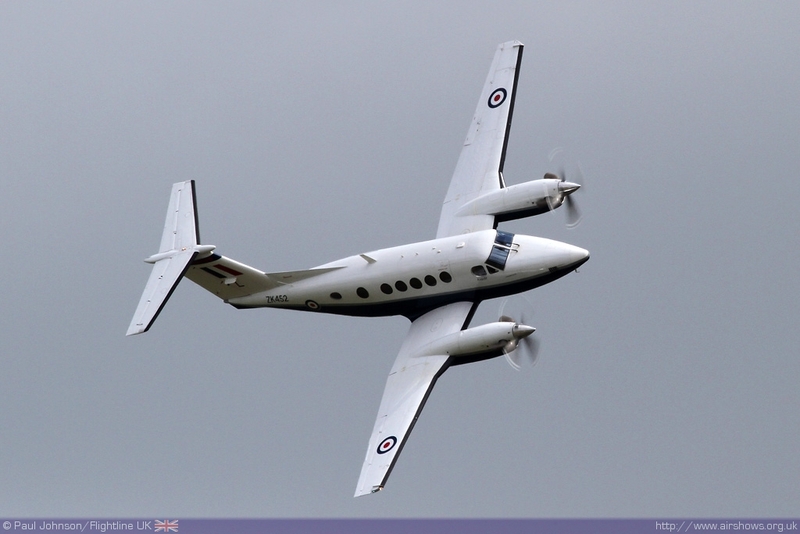 There was also another very low key farewell by an RAF aircraft. 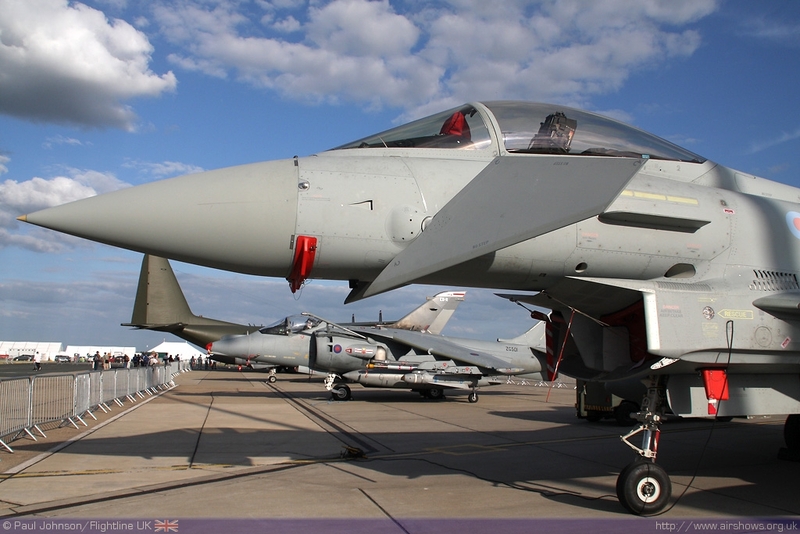 The Tornado F3 will also be retired in March 2011 before the next airshow and therefore the sole example of a 111(F) Squadron aircraft in the static park will probably be the last time this RAF stalwart will be seen at RAF Waddington. 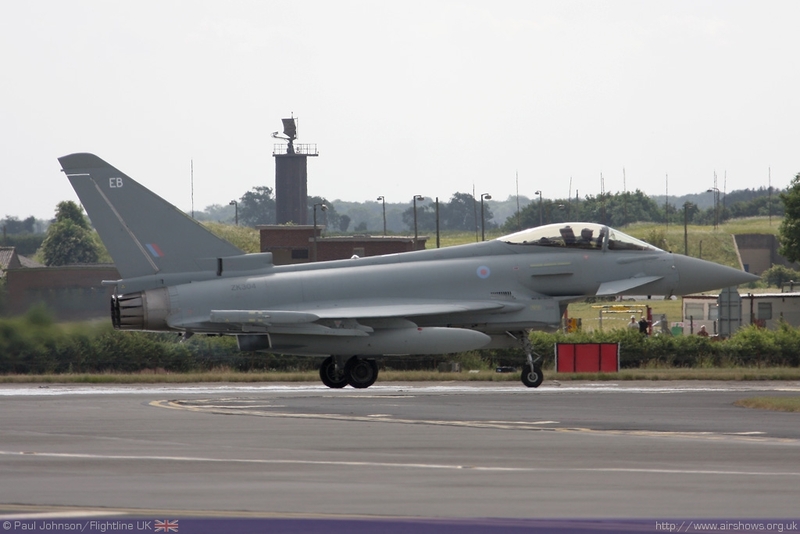 It was parked close to a brand new 6(F) Squadron Eurofighter Typhoon FGR4 which will move to RAF Leuchars later in the year and take over air defence duties from the Tornado. In this period of austerity and increased operations, it's unsurprising that RAF participation is very limited compared to the first Waddington Airshows back in the mid 1990's. 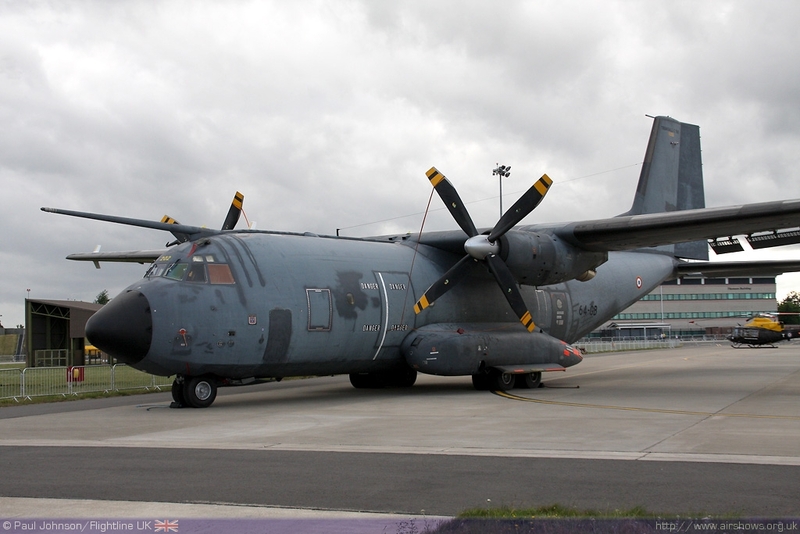 For instance, 2010 saw no RAF transport aircraft supporting the show in the static park. 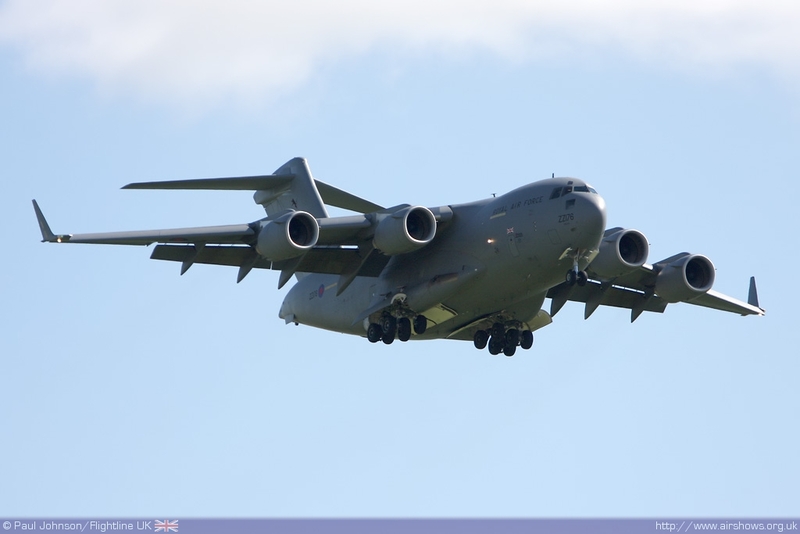 One type that did make a brief appearance early on Sunday during the flying display was the mighty C-17A Globemaster III from 99 Squadron at RAF Brize Norton. 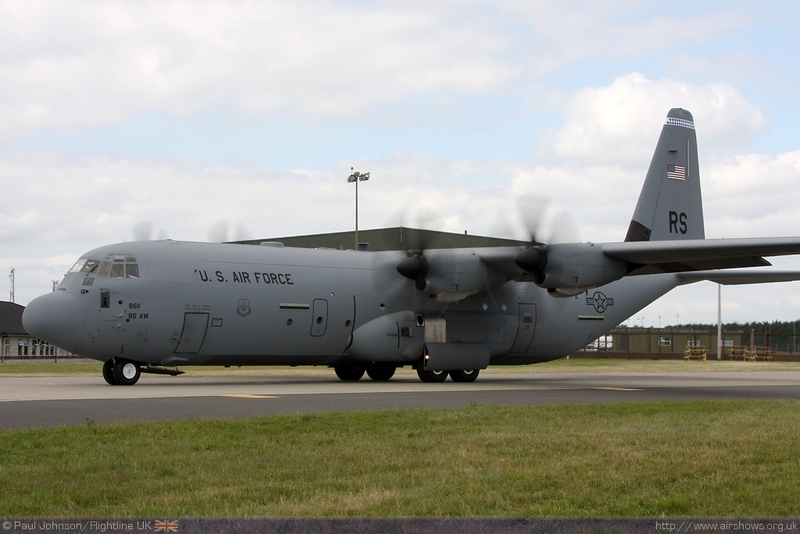 These aircraft have become a familiar sight on our TV screens in recent years due to their work as the "Air Hospital" and the repatriation of soldiers killed in the conflicts in Iraq and Afghanistan. 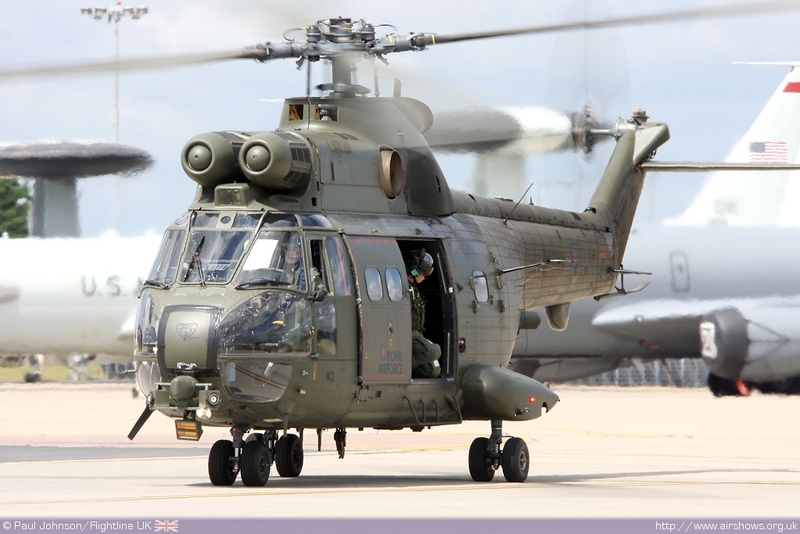 Helicopters were also in short supply with just a Westland Puma HC1 representing the RAF's busy fleet of battlefield helicopters. 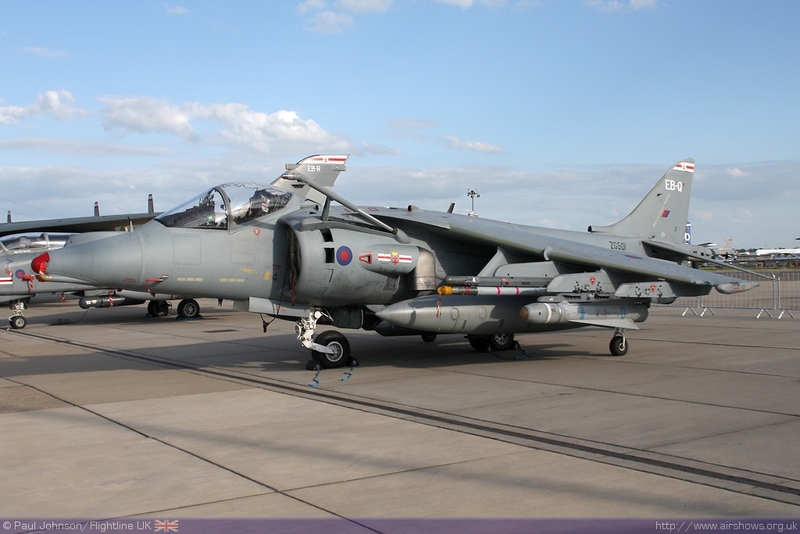 41(R) Squadron provided a number of example of RAF fast jets including a Harrier GR9 and a Tornado GR4. 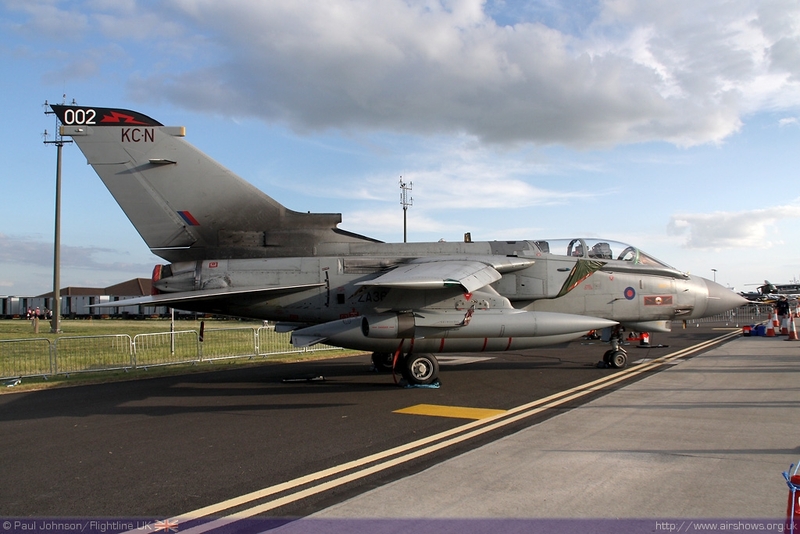 Another Tornado GR4 was also on display from 617 Squadron. 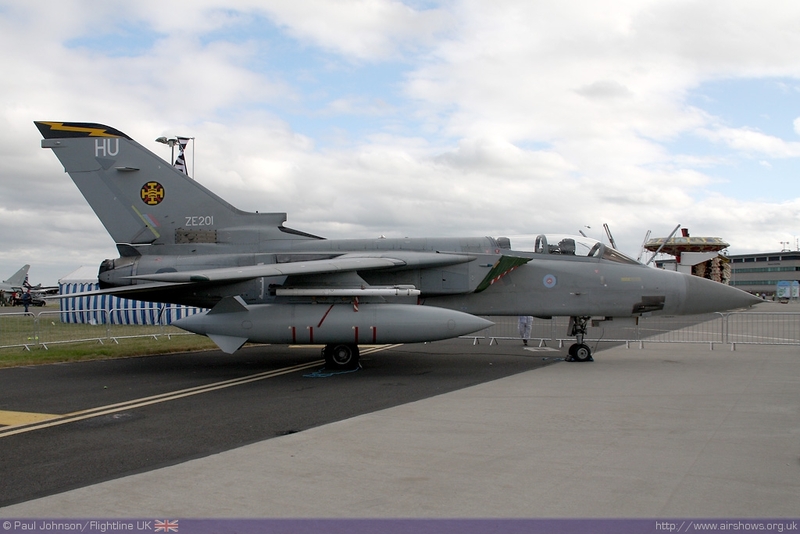 The other UK armed services seemed equally shy within the static display. 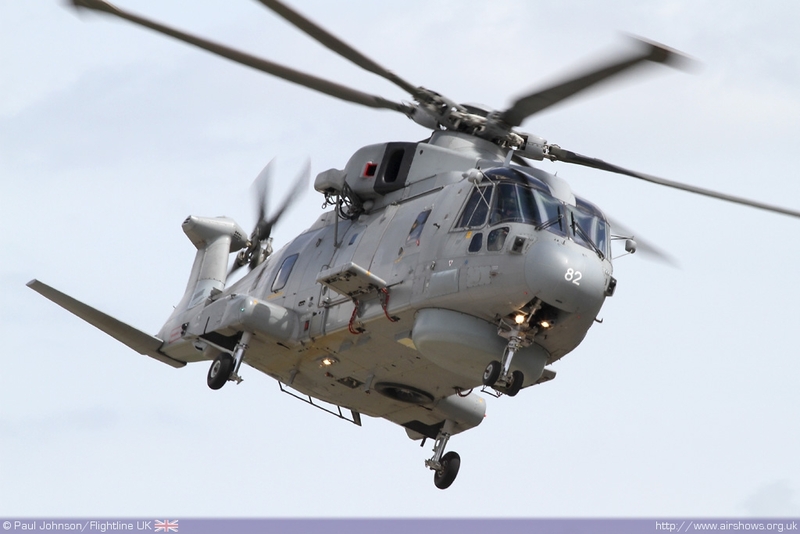 The Royal Navy only boasted a Sea King ASac7 and a Jetstream T2. 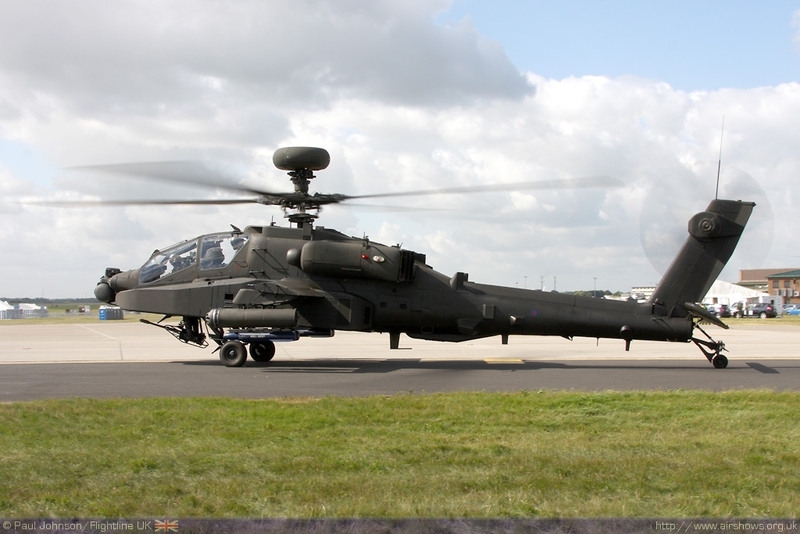 The Army did however send a Apache AH1 which has become a rare sight at airshows as the Blue Eagles are not displaying this year. 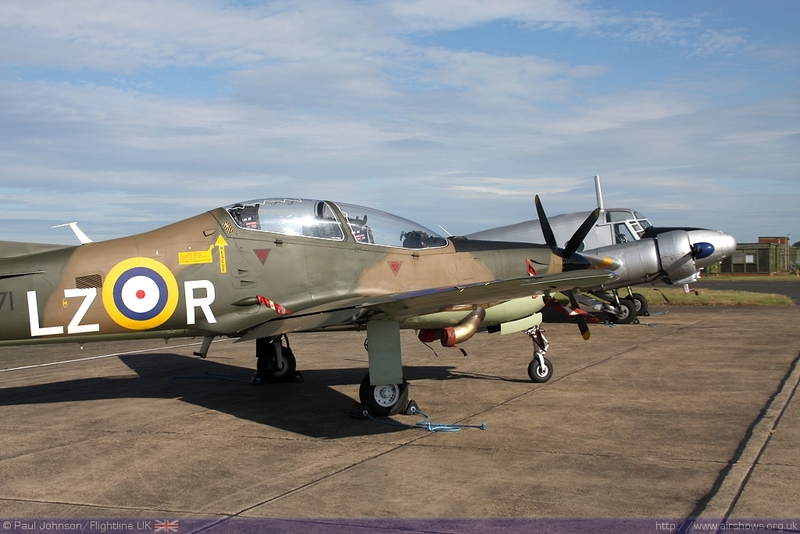 Another rare Army aircraft in the static display was a Britten Norman Defender. 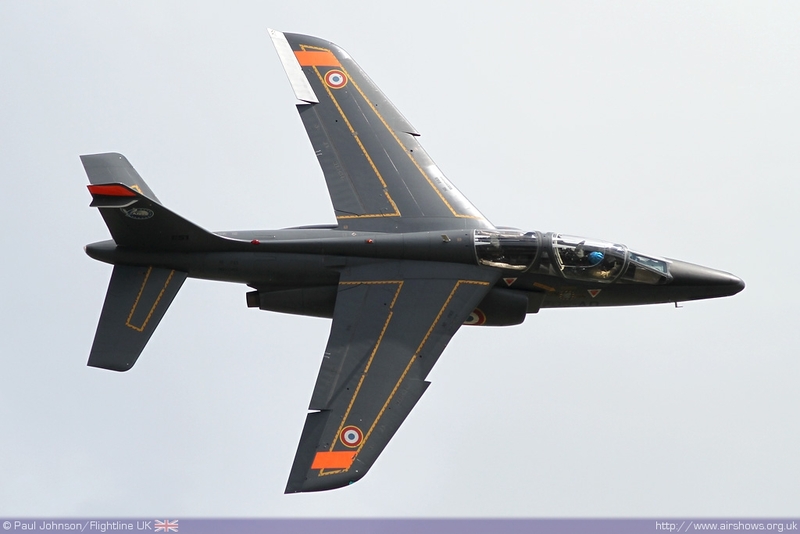 QinetiQ also made a welcome contribution to the static display with an Alpha Jet A. In the air, there was full participation by all three armed services. 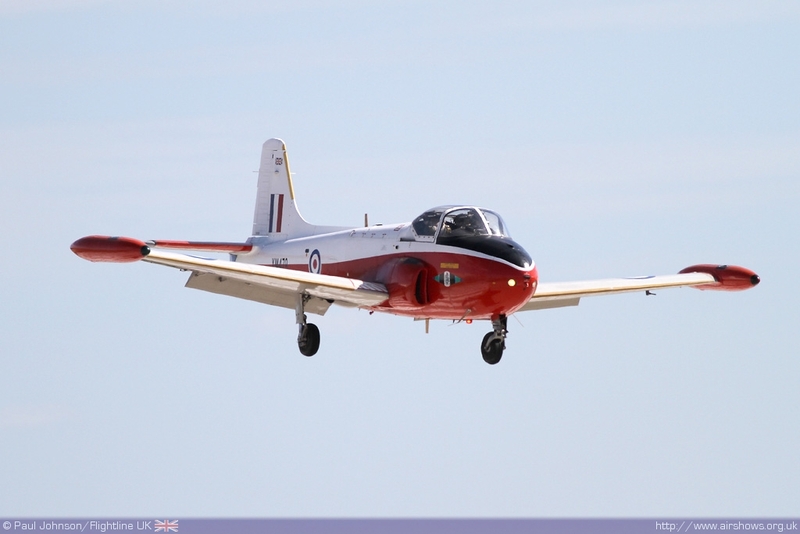 The Historic Aircraft Flight represented the Army while their naval equivalent, the Royal Navy Historic Flight sent its beautiful Sea Hawk FGA6. 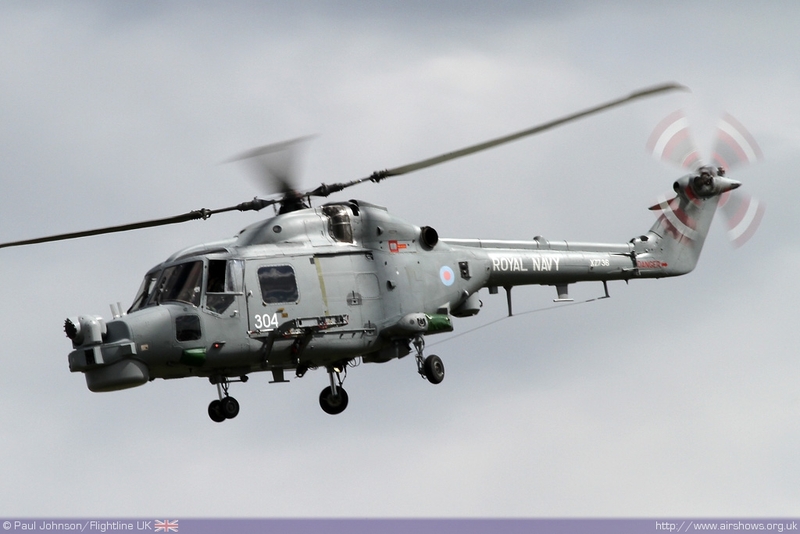 The Royal Navy also had displays from a solo Westland Lynx HMA8 from 815 Naval Air Squadron and a Westland Merlin HM1. 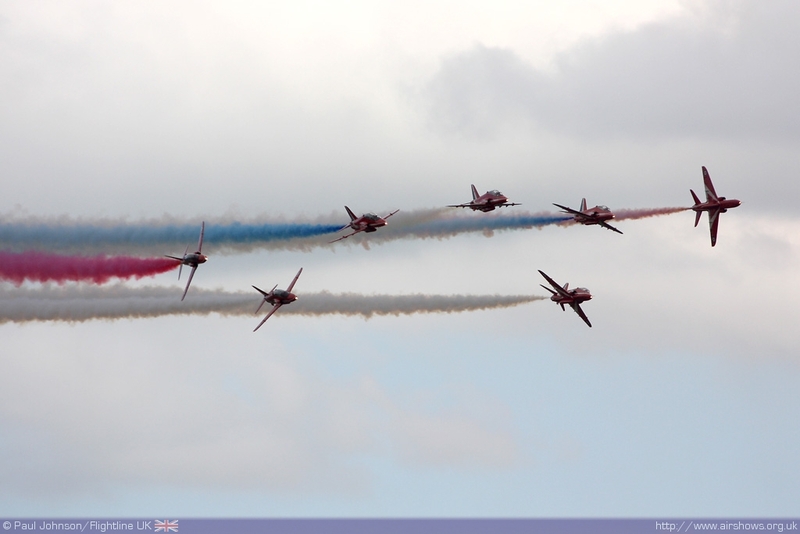 The Royal Air Force had all of its display teams in the flying displays. 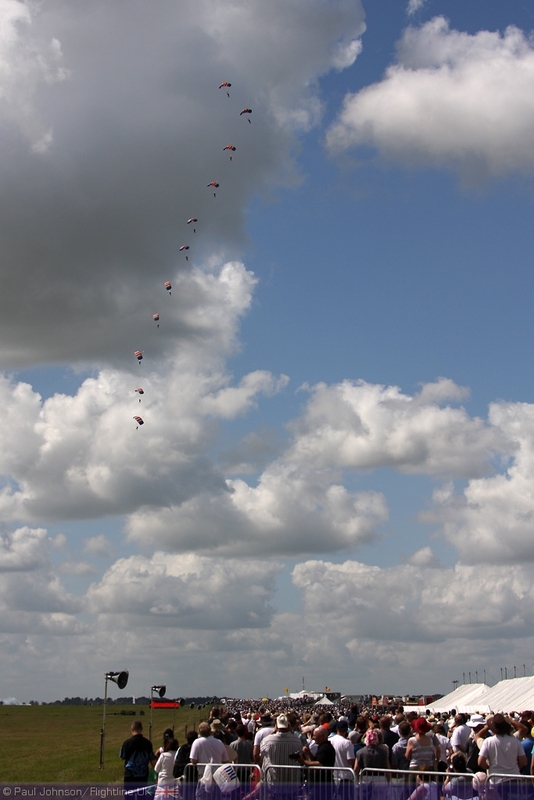 High winds on Sunday meant that the RAF Falcons Parachute Display Team were only able to display on Saturday as well were the Battle of Britain Memorial Flight. The Red Arrows did display on both days at Waddington which will soon become their home. 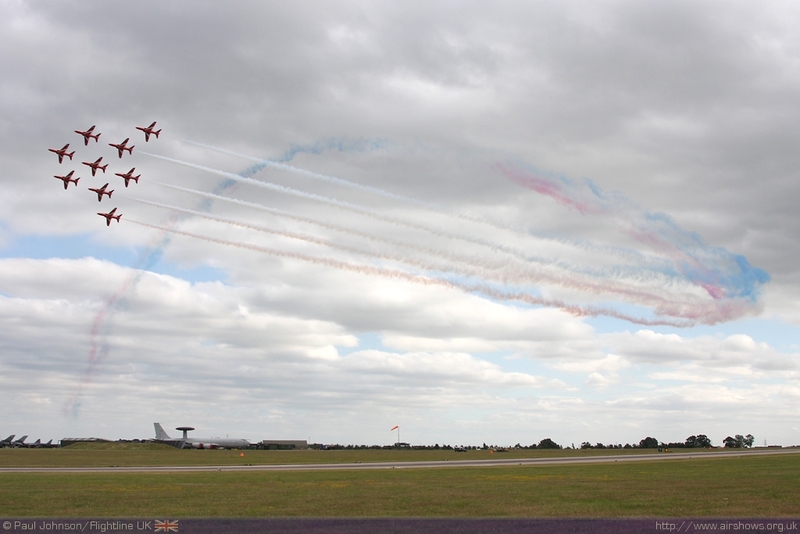 However, Saturday's display saw just an eight ship display as Red 3, Flt Lt Kirsty Moore was unwell. The team were back up to full strength for Sunday's appearance. 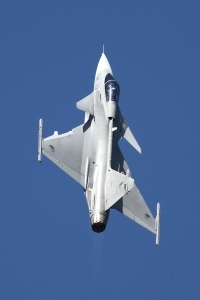 Highlights of the RAF participation in the flying displays were the new "Role Demonstrations" that have appeared in 2010. 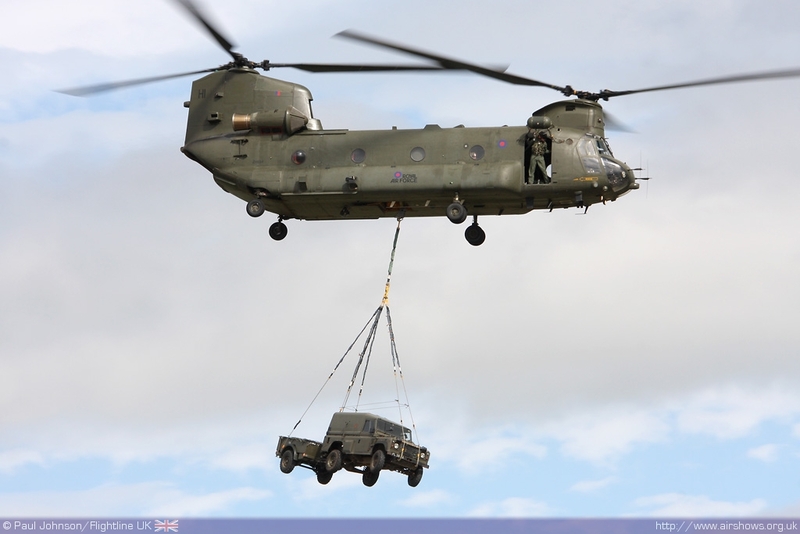 The Chinook made the second of only four outings this year with its new "role demo" display highlighting the varied roles of the work-horse of modern day operations. 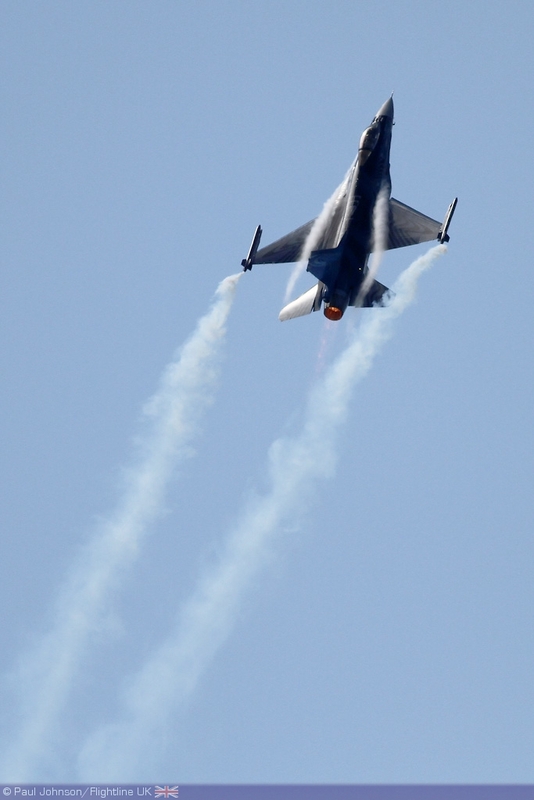 It also appeared as part of a "Unmanned Aerial Vehicle" display late on Saturday which was poorly received, mainly because anyone away from crowd centre could not really see anything and the UAV (Desert Hawk 3) was so small and distant. The "scenario" was not repeated on Sunday. 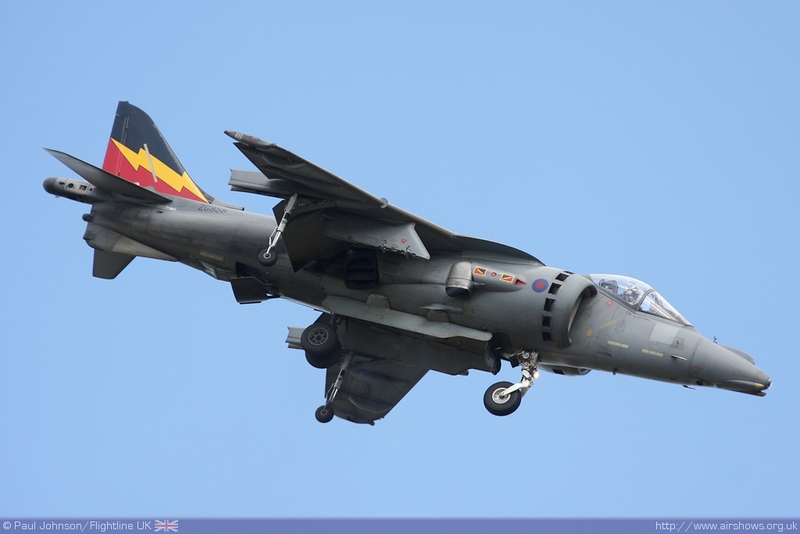 It's great to see the Harrier GR9 back on the display circuit. 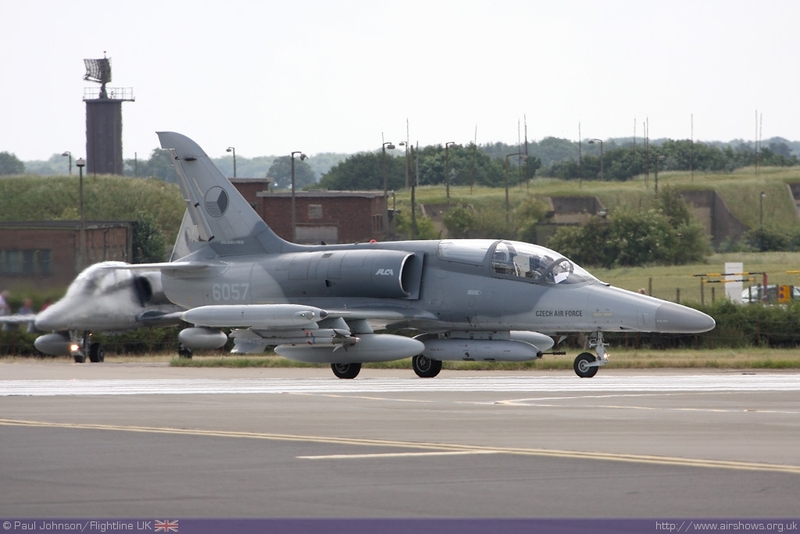 Flt Lt Steve Kenworthy is the 2010 display pilot and as well as all the major RAF events, the Harrier will participate at Sunderland, Shoreham and Dunsfold airshows. 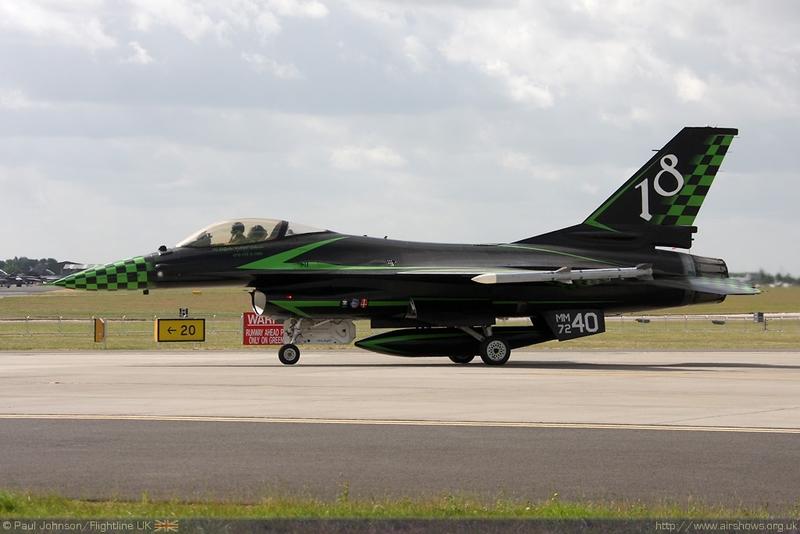 4(R) have painted special squadron markings on the display aircraft which are hard to miss. 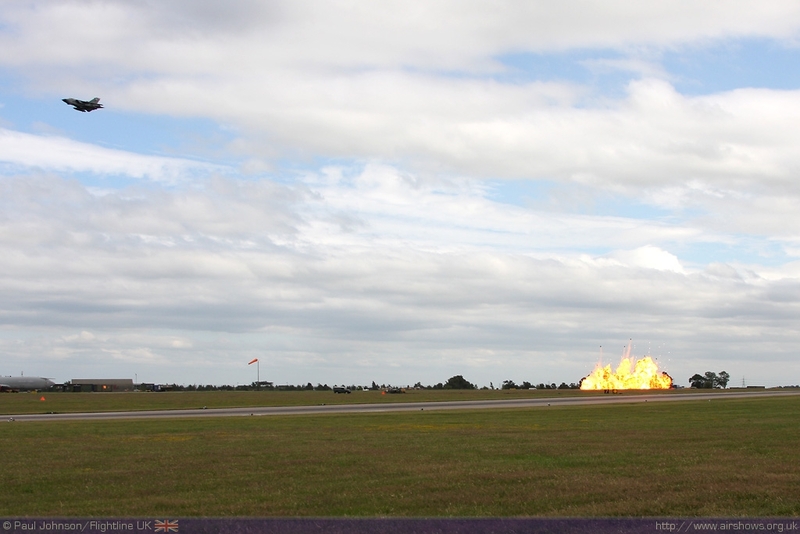 Another RAF display that's impossible to miss is the RAF Tornado GR4 role demostration from XV(R) Squadron. The team present essentially what is a smaller, condensed version of the former RAF Role Demostration complete with pyrotechnics with a pair of aircraft. 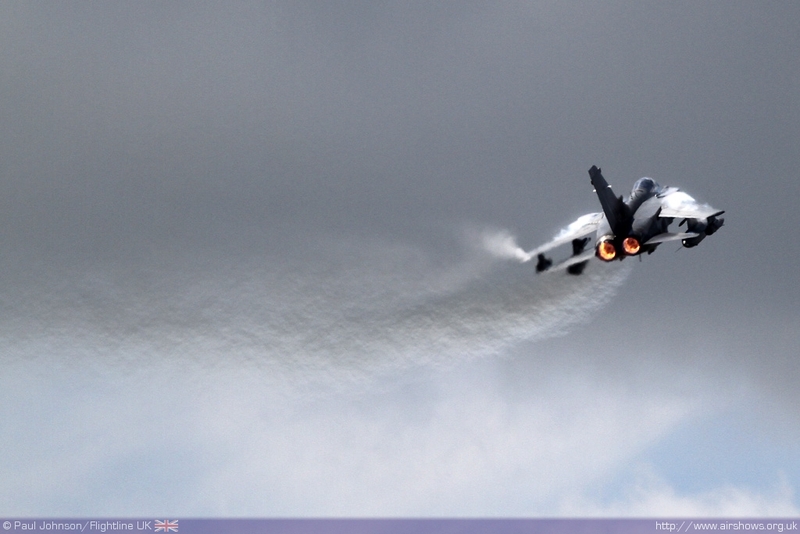 The whole display makes for a imppressive spectacle and lots of noise. 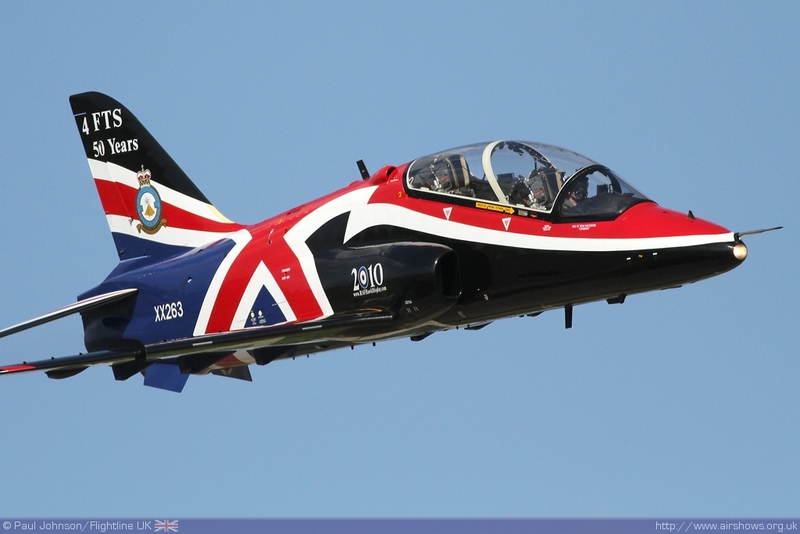 The Role Demonstrations were joined by the complete list of RAF solo displays. 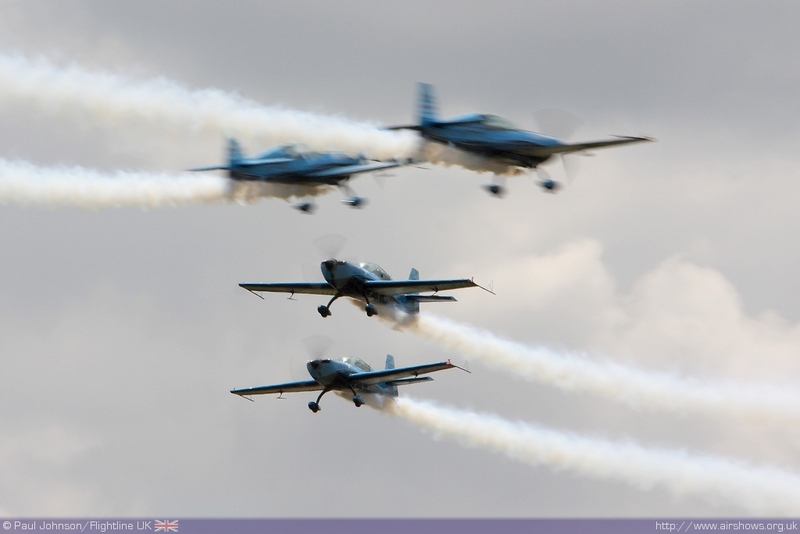 Nearby RAF Cranwell supplied the Grob Tutor T1 and King Air displays which were joined by the Tucano T1 and Hawk T1 displays. 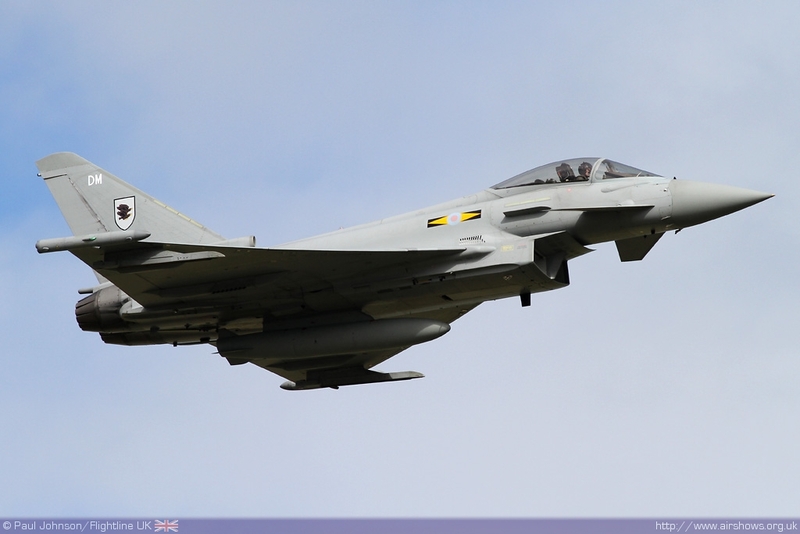 RAF Coningsby is also not far from Waddington, and the Typhoon FGR4 which is based there and flown by Flt Lt Tim Clements flew in for there both days. 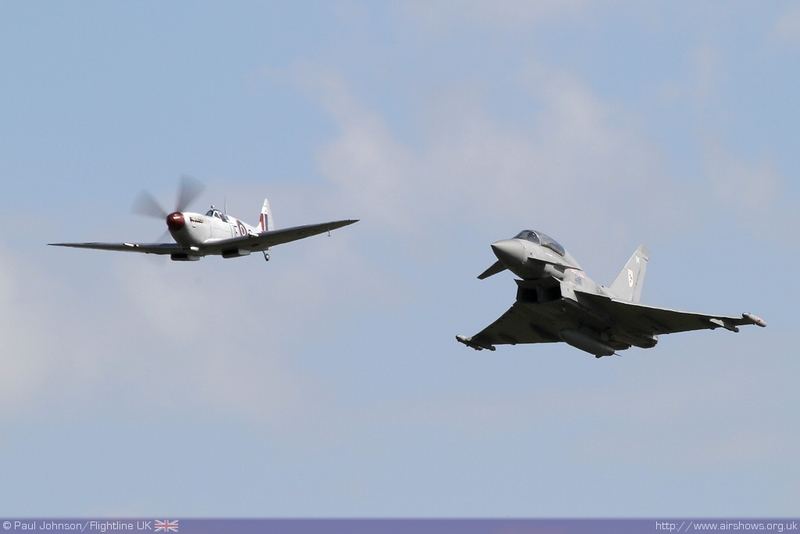 With the 70th Anniversary of the Battle of Britain at the heart of this year’s airshow, it was great to see the superb Typhoon and BBMF Spitfire Synchro Pair back in action. 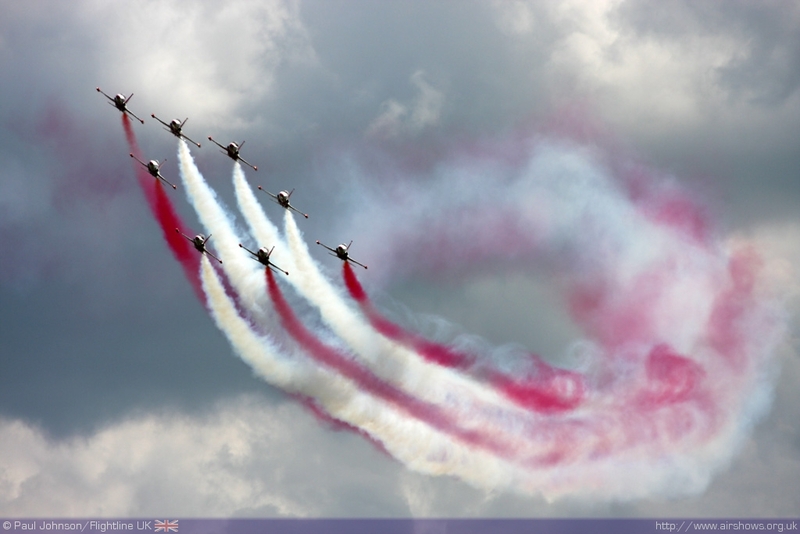 This is without doubt the most spectacular display performed by the Royal Air Force in 2010. 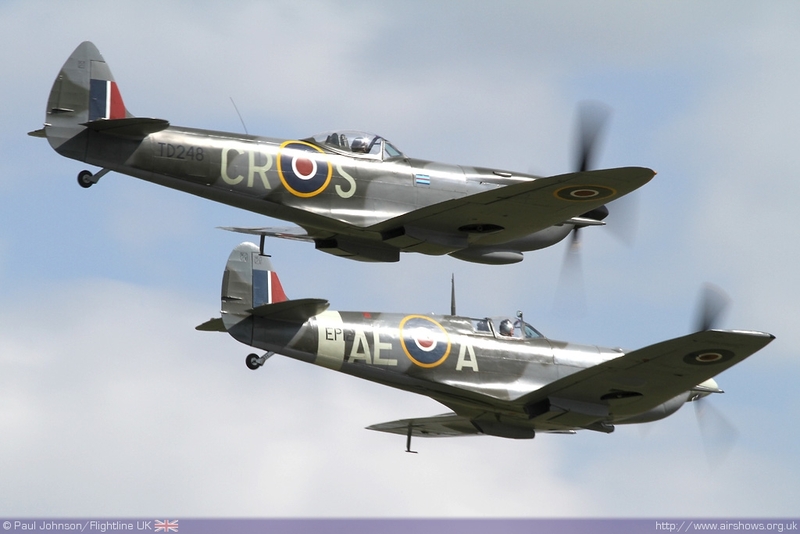 The noise and sheer spectacle of the two fighters in formation and performing opposition passes in unsurpassed. 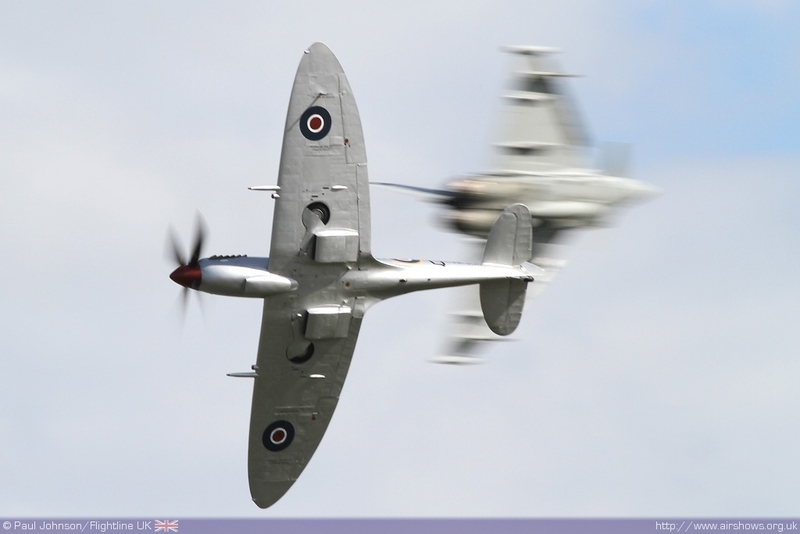 The Typhoon and Spitfire formed just one part of a wider "Battle of Britain Scenario" which involved a number of civilian owned aircraft. 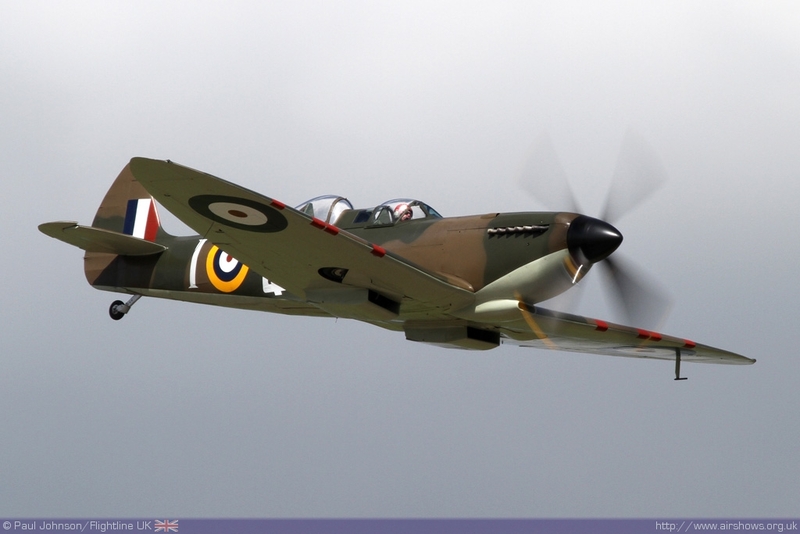 The aircraft involved include Peter Vacher's Hurricane I, Peter Teichman's Hurricane IIb, ARCo's Spitfire IXT, The Fighter Collection's Spitfire V, Spitfire Ltd's Spitfire XVI, Maurice Bayliss's Spitfire IXT, OFMC's Spitfire IX and ARCo's Hispano Buchon (Me109J). 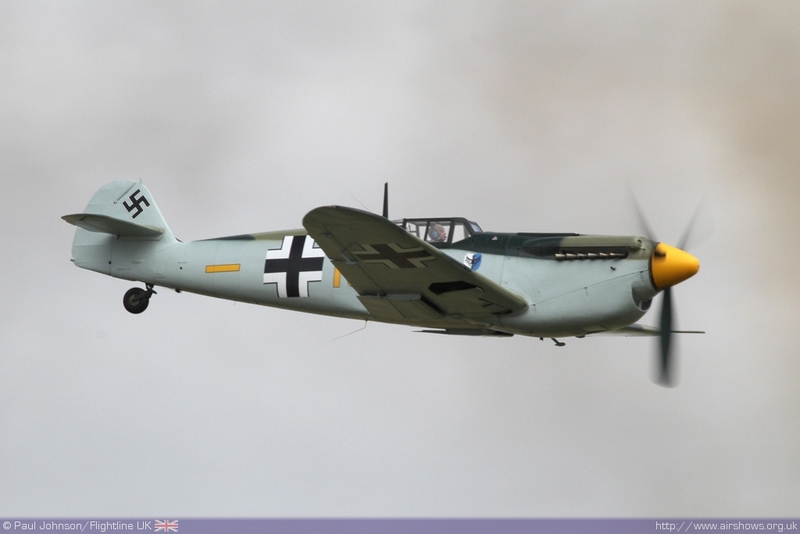 The display was broadly similar to that presented at Biggin Hill a week earlier but lacked the emotional punch and did seem to be very drawn out despite the liberal use of pyrotechnics on the airfield and a recreation of a 1940's encampment. 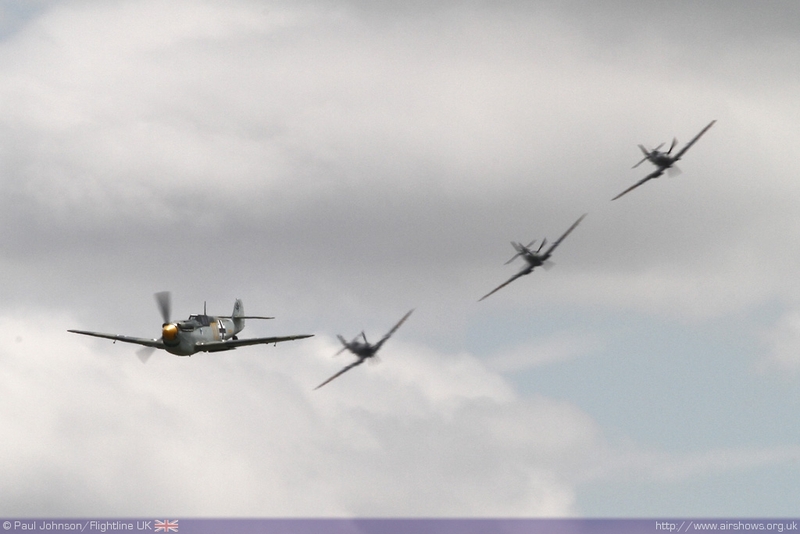 It was however very good to see TFC's Spitfire back in the air and leading the finale three ship of Spitfires. 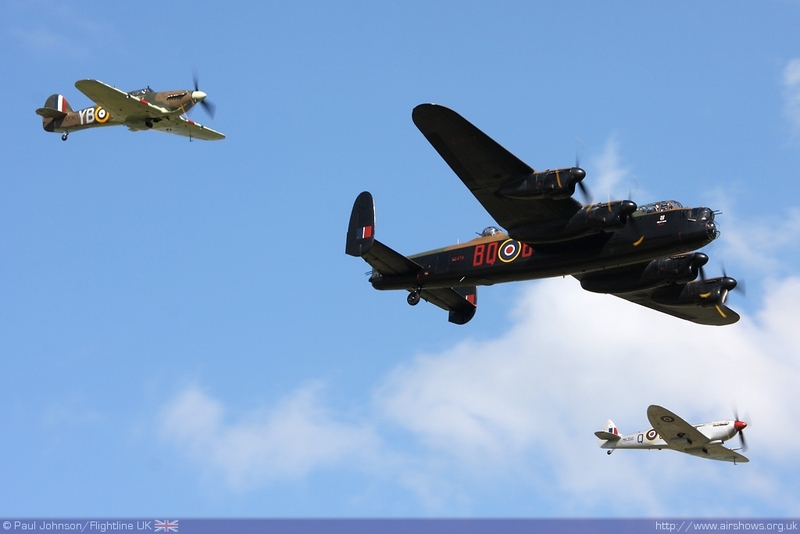 Waddington also celebrated the 90th Anniversary of RAF airshows with a flypast which opened the main flying display. 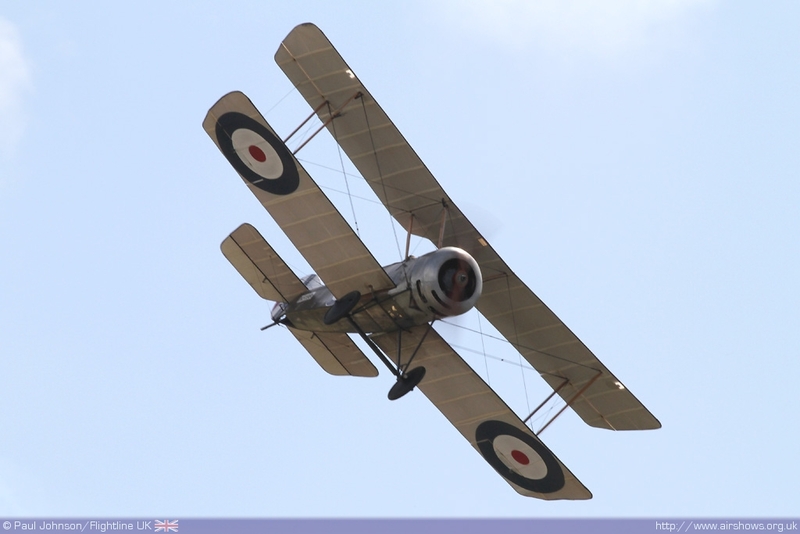 Leading the tribute was the Great War Display Team with a number of different First World War aircraft replicas which also displayed. 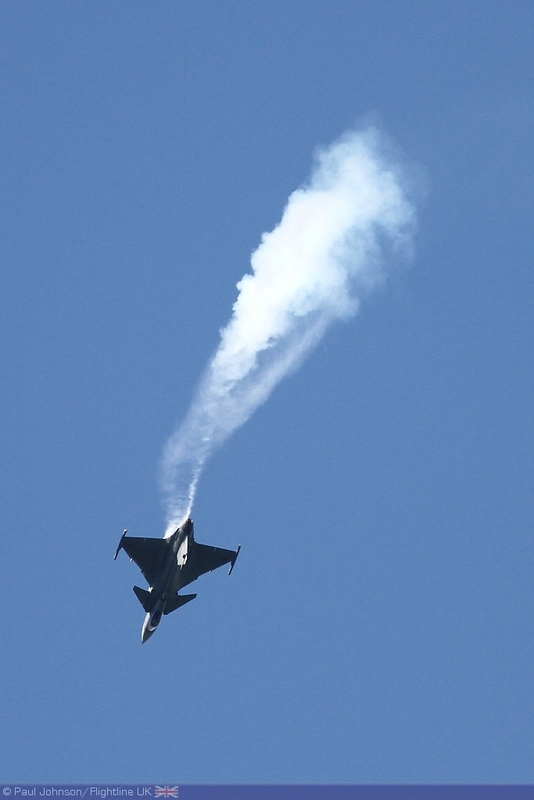 Sadly, this display like others was only seen on the Saturday due to the high winds. 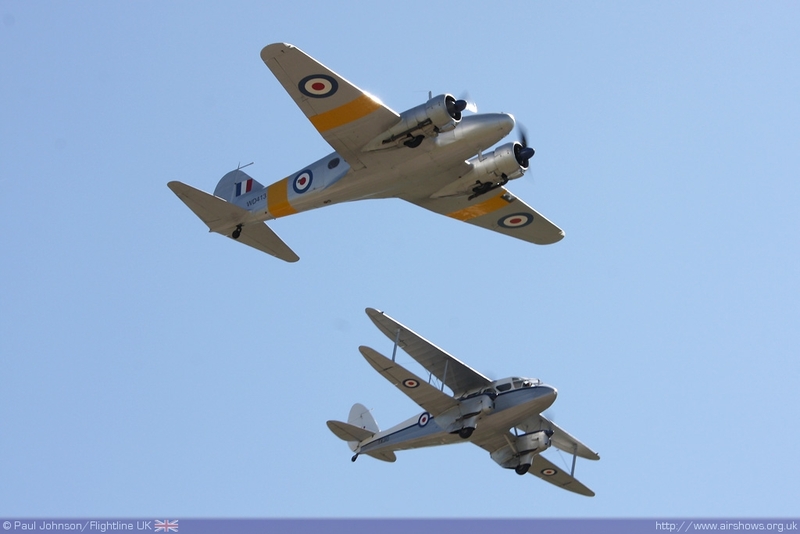 Also participating in the flypast were Air Atlantique's De Havilland Dragon Rapide, Avro Anson and De Havilland Venom. 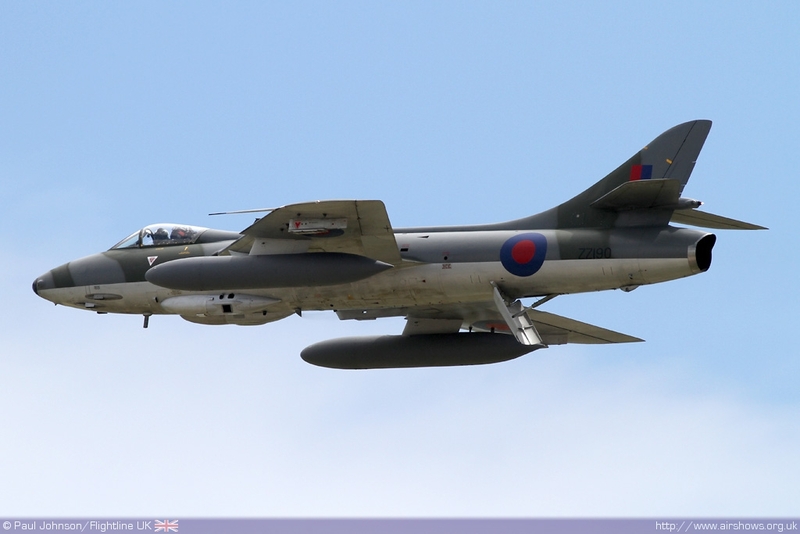 A pair of Jet Provosts (T5 and T3A) and a Hawker Hunter F58 from Hawker Hunter Aviation represented post war shows and the early jet teams. 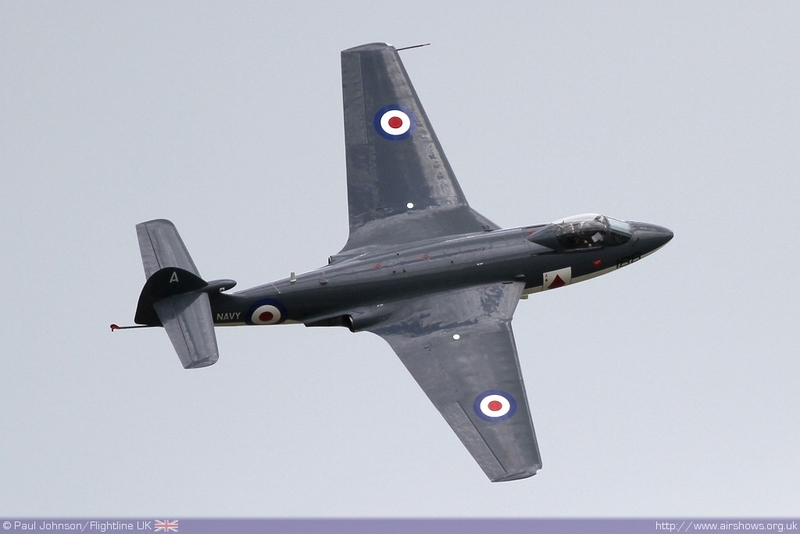 The Hunter also performed an impressive solo display on the Sunday. 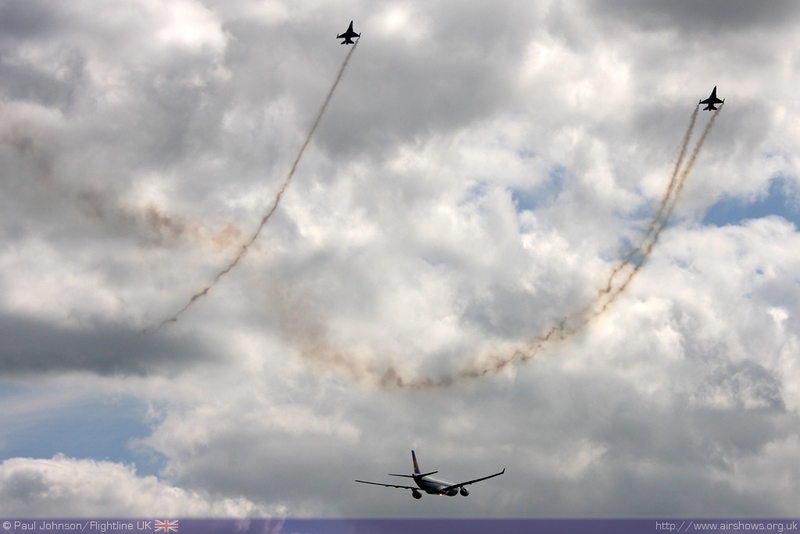 As well as all the military display, Waddington welcomed a select few civilian displays. 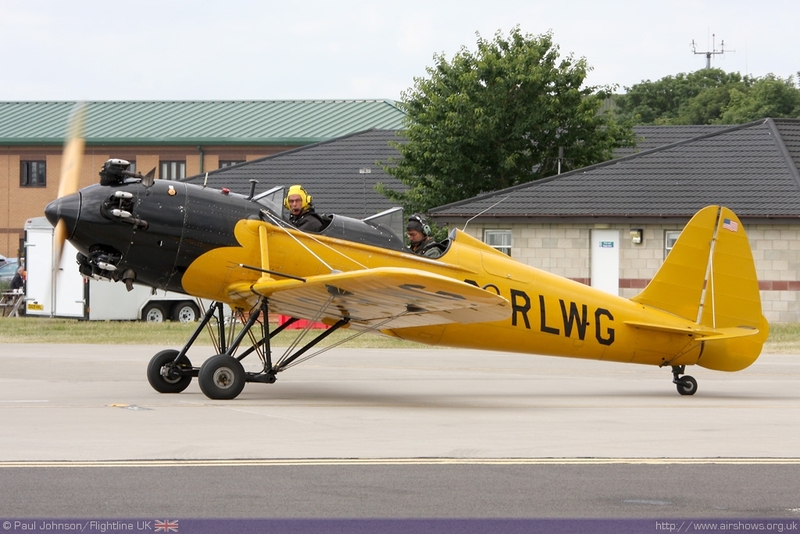 Sgt Phil Burgess who is based at Waddington displayed his new DR107 One Design aerobatics aircraft which he keeps at RAF Cranwell. 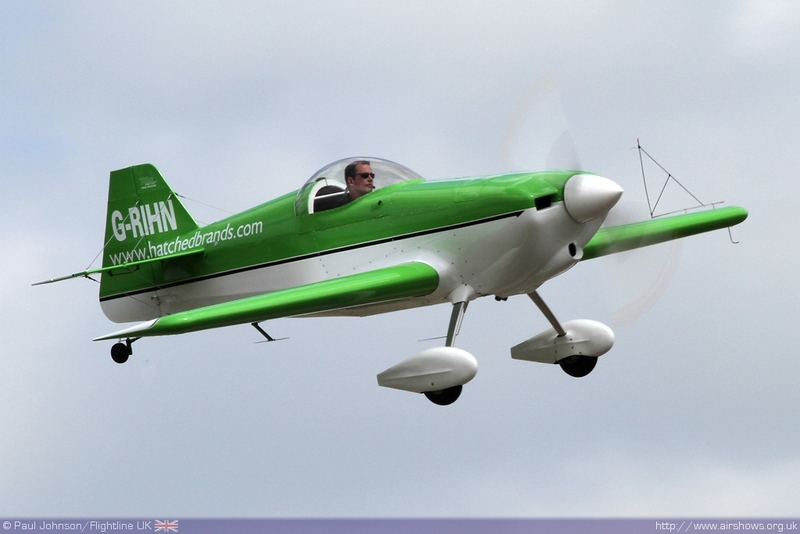 Phil put on a superb display that took in the whole crowd-line which was impressive for such a small aircraft. 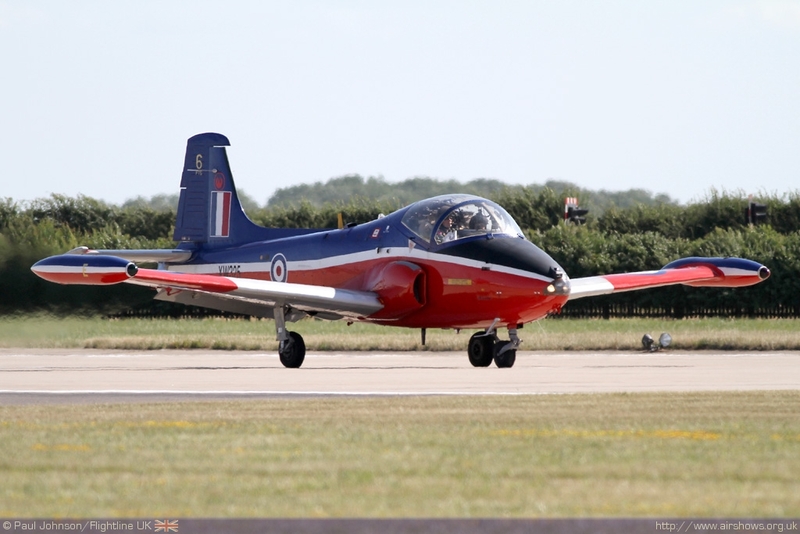 The show also welcomed The Blades who this year have teamed up with the RAF Association Wings Appeal, one of the main charities supported by the show. 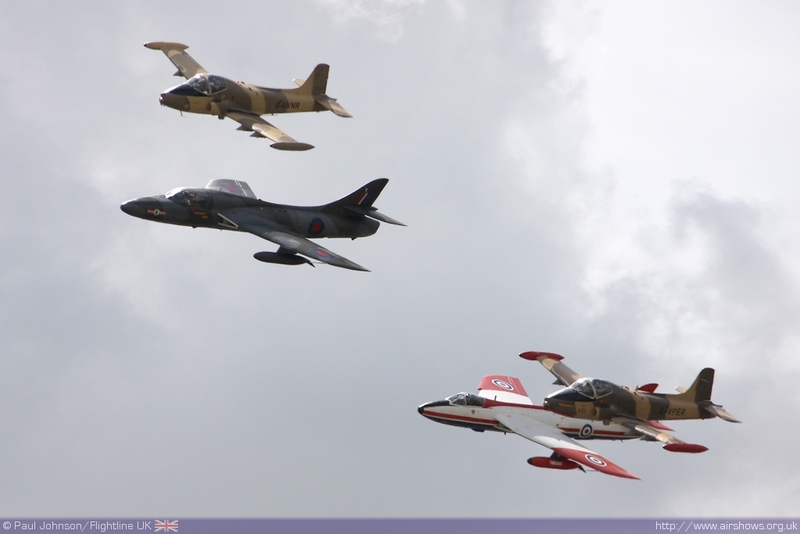 Team Viper also appeared with their first displays with a pair of Hawker Hunters (FGA9 and T7A) joining a pair of Strikemasters. 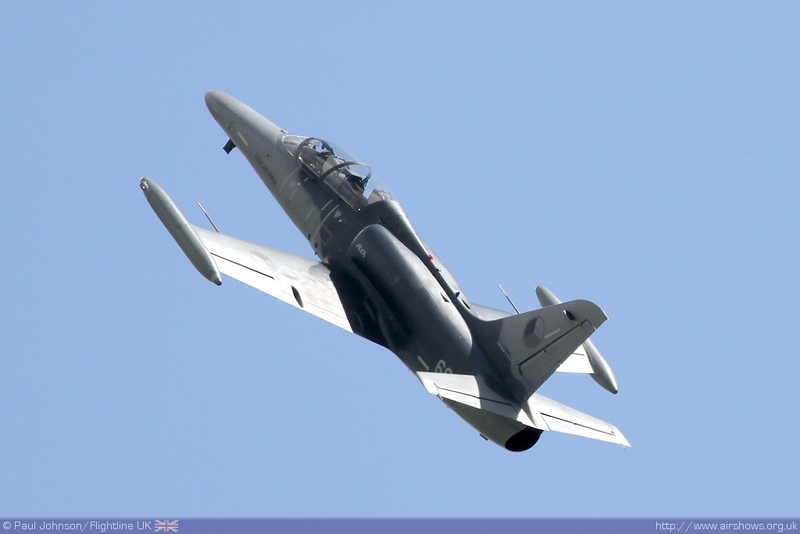 The new format was a great improvement on their Strikemaster display keeping action in front of the crowd all the time. 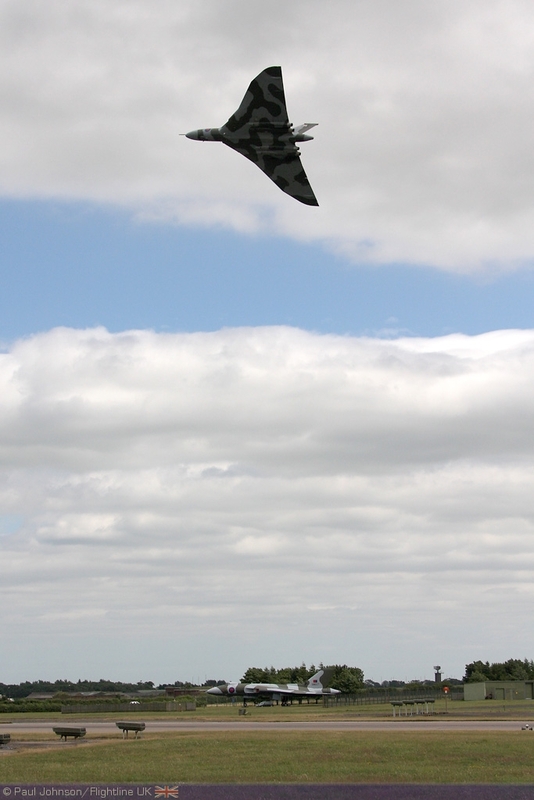 Of course, the most eagerly anticipated aircraft from the civilian world was the Avro Vulcan XH558. Once again, it seems Vulcan to the Sky have had a difficult winter securing funds for planned maintenance and modification work. They succeeded at the eleventh hour (AGAIN!) thanks to an anonymous donor which allowed work to start a little later than planned which meant the Vulcan was unable to take part in the early part of the season. 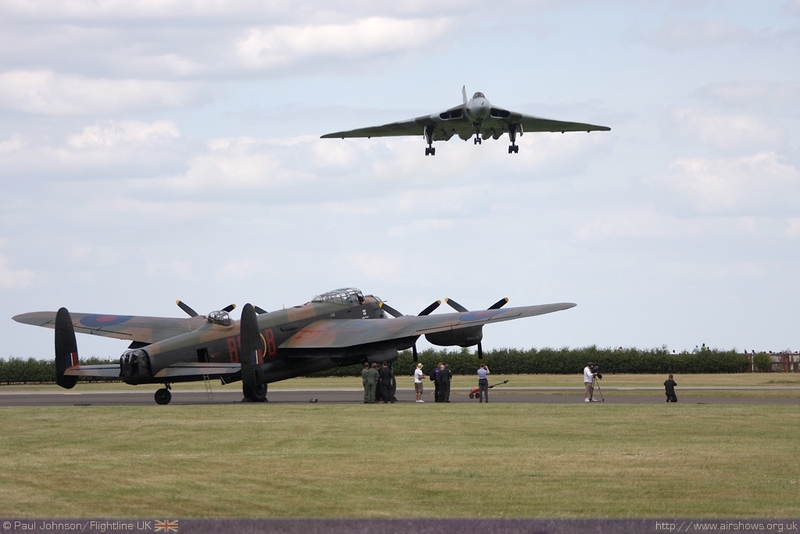 The Vulcan finally made it up into the air on the 1st July, just two days ahead of Waddington. 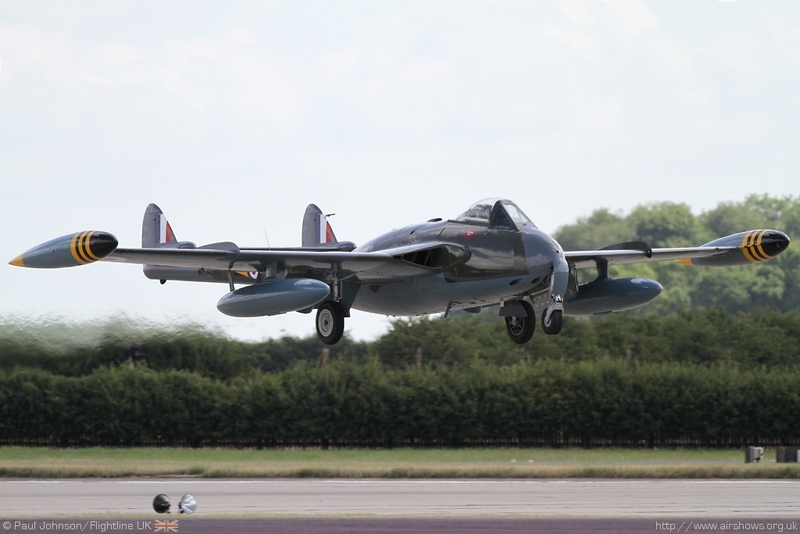 During the weekend she operated from Brize Norton taking in shows at Windlesham House School and Goodwood in Sussex on top of appearances on both days at Waddington. Whatever your views on the organisation behind the aircraft, you cannot fail to be impressed by the Vulcan, particularly over its old base. 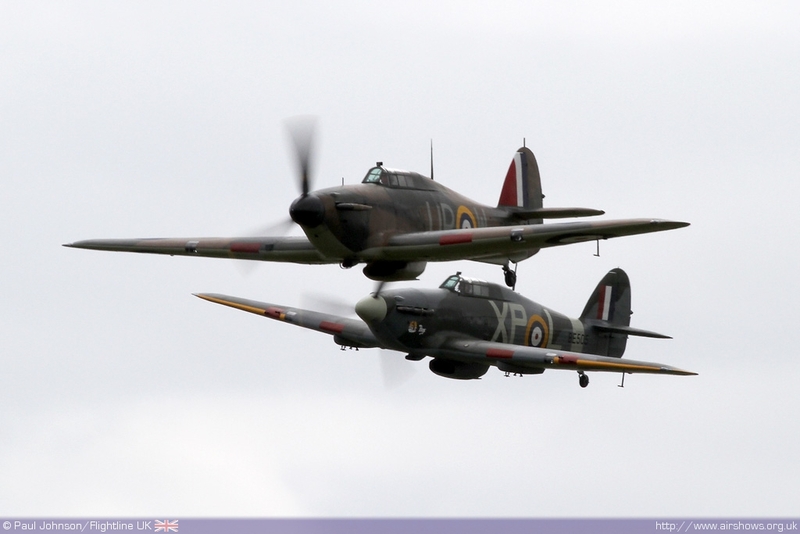 The International line-up at this year’s airshow was greatly improved. 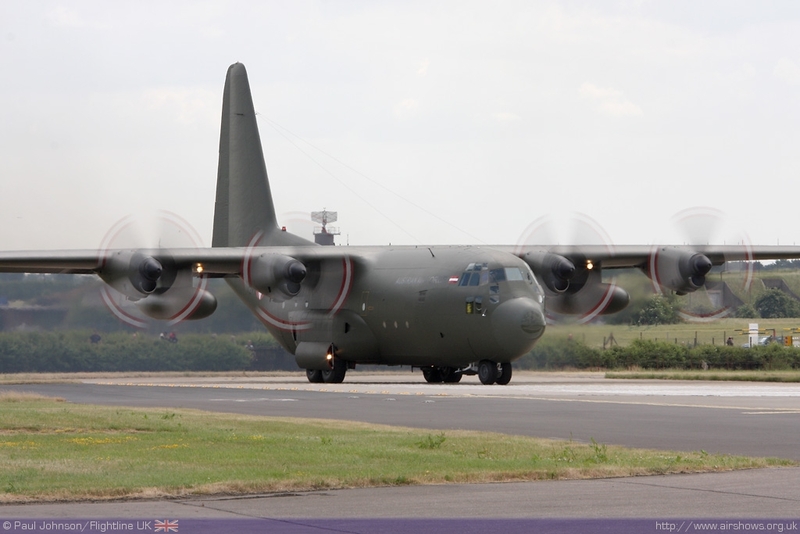 Waddington managed to bag some impressive visitors from the United States Air Force for static display. 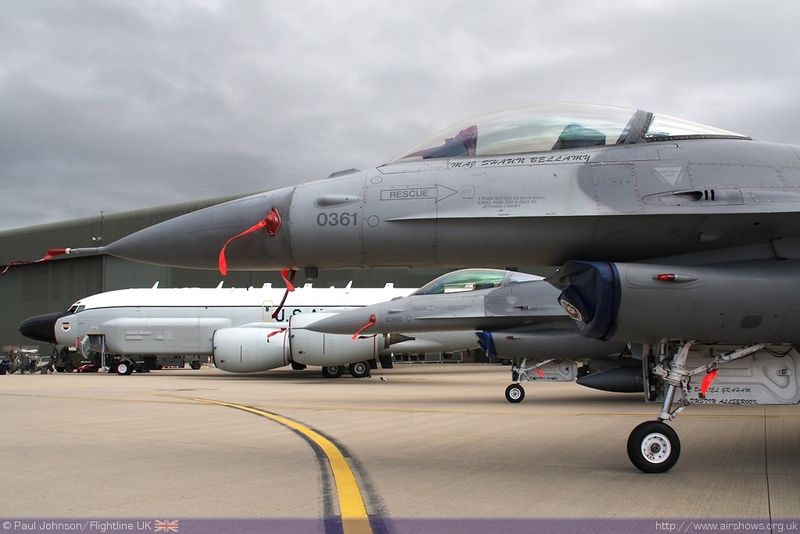 Joining the E-3C Sentry were a pair of USAFE F-16CJ Fighting Falcons, KC-135R Stratotanker and a C-130J Hercules II. 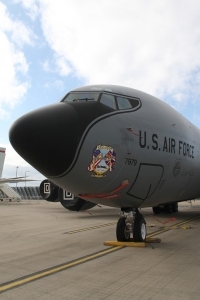 Perhaps the most appropriate USAF aircraft on show was a RC-135V Rivet Joint. 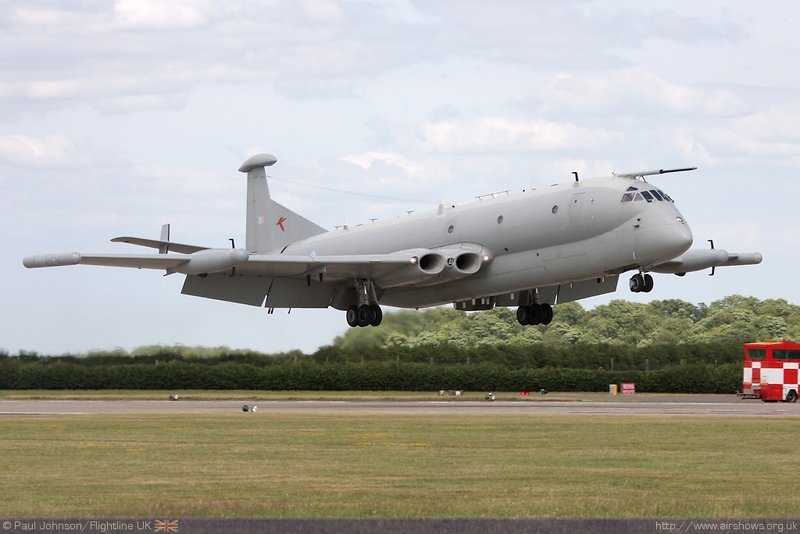 These aircraft (modified from stored KC-135 tankers) will eventually replace the Nimrod R1 in RAF service. 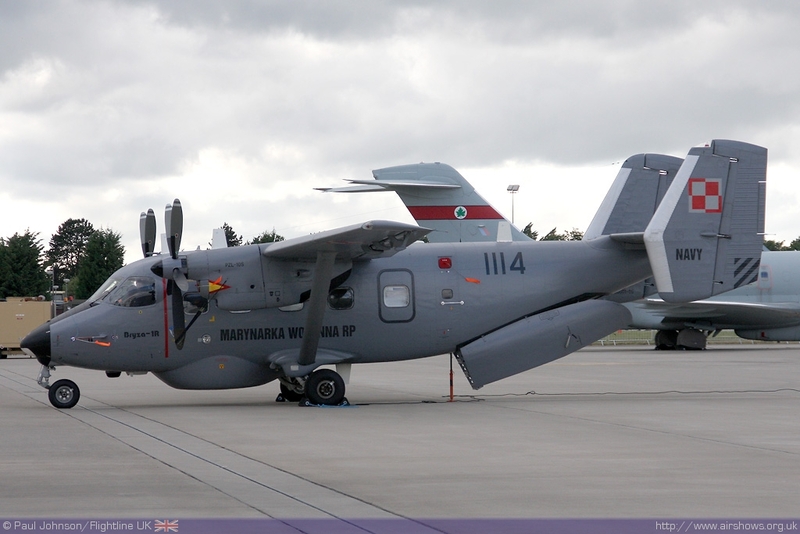 Amongst the other stars of the static display was a pair of colourful Italian Air Force F-16ADF Fighting Falcons, an Austrian C-130K Hercules, a German Air Force Tornado RECCE as well as a Czech Air Force contingent of Antonov An-26, JAS-39D Gripen and L-159A ALCA. 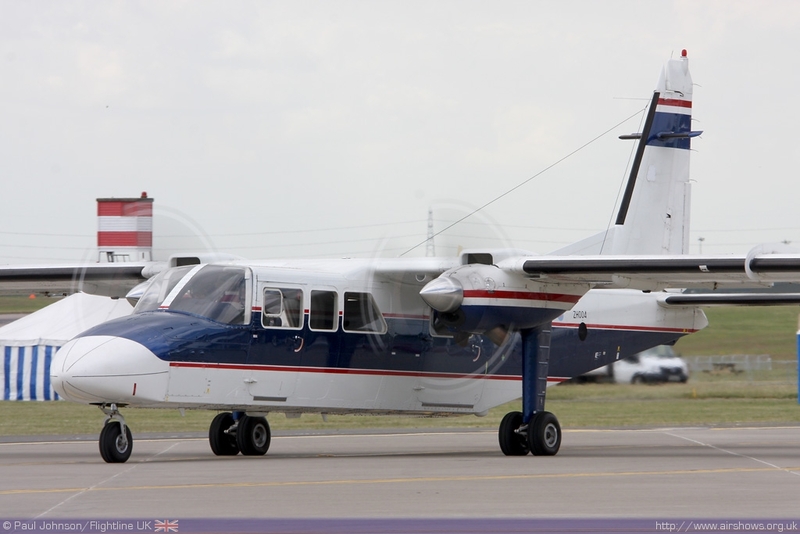 The Polish Navy also participated with a PZL M28-1R Bryza while the French "showed off" a rather tatty looking Transall C-160. 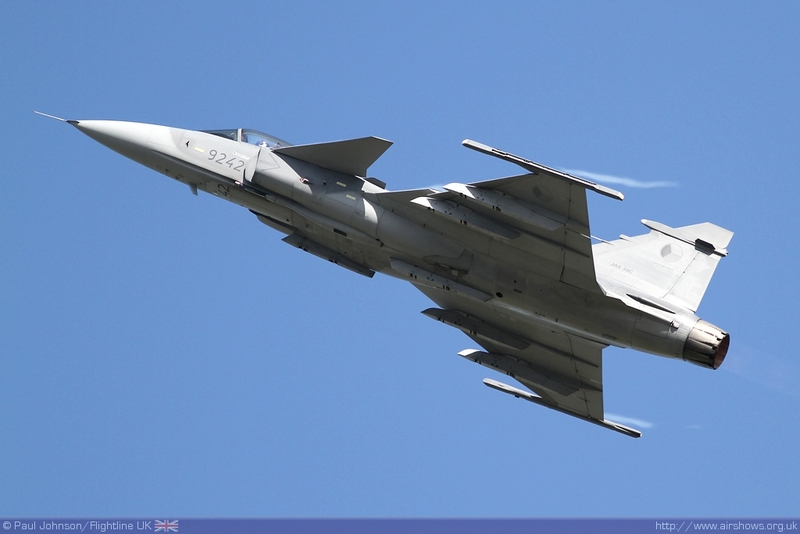 The Czechs also took part in the flying displays with an impressive displays from a JAS-39C Gripen and a L-159 ALCA. 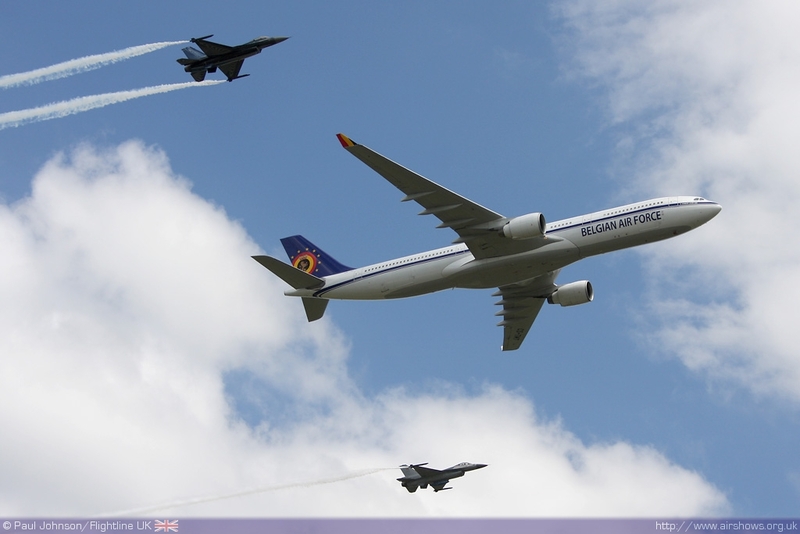 They were joined by the dynamic French Air Force Alpha Jet demo and the Belgian F-16AM Fighting Falcon solo display. The latter arrived in fine style on Saturday with both the display and spare jet arriving in formation with a Belgian Air Force Airbus A330 transport. 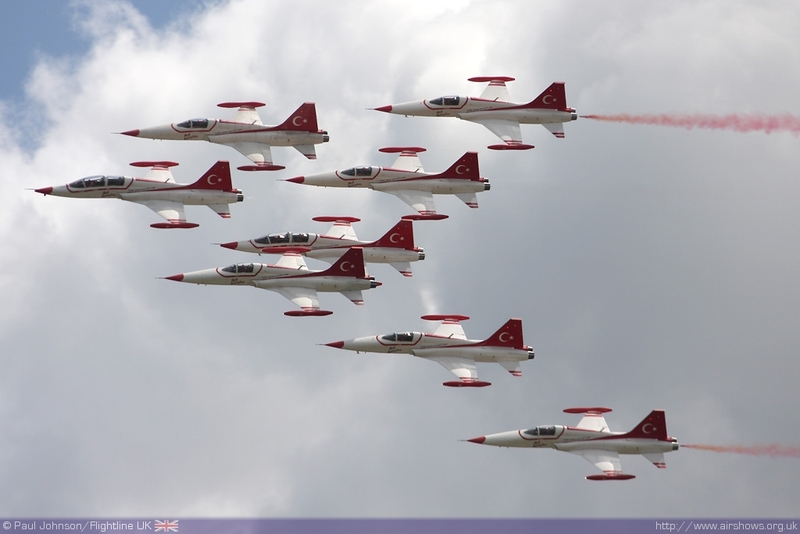 Show stars however were the Turkish Air Force's Turkish Stars display team with their eight Northrop NF-5A/B Freedom Fighters. 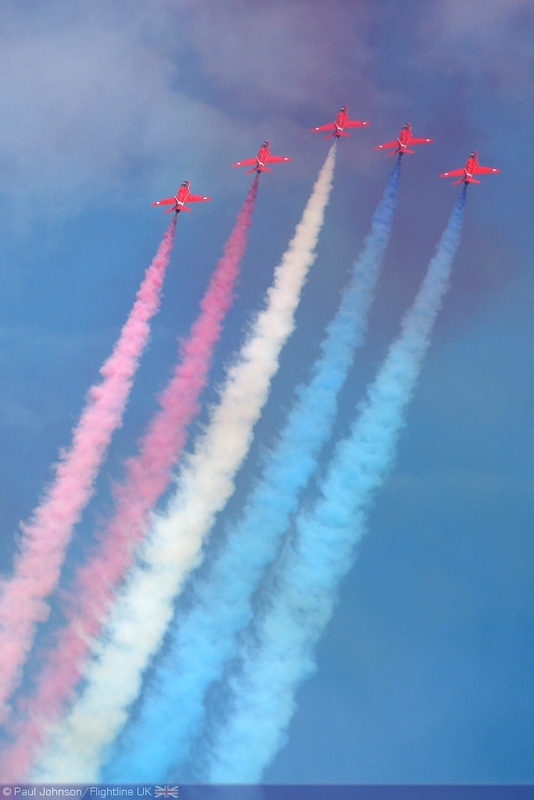 The team display of formation flying and aerobatics is impressive and flamboyant but the real star of the show, and the most handsome of them all, is their commentator. 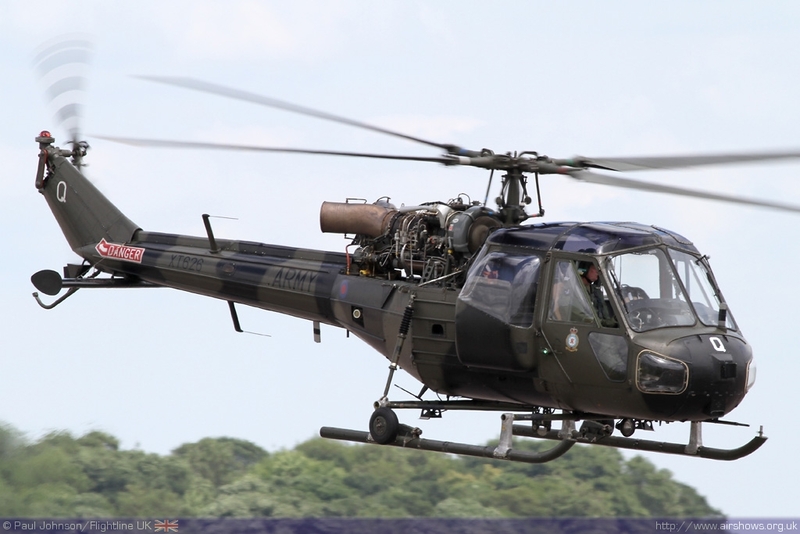 The team have been seen very rarely in the last few years with their last scheduled UK performance being the cancelled RIAT 2008. We hope it's not too long before they return again! 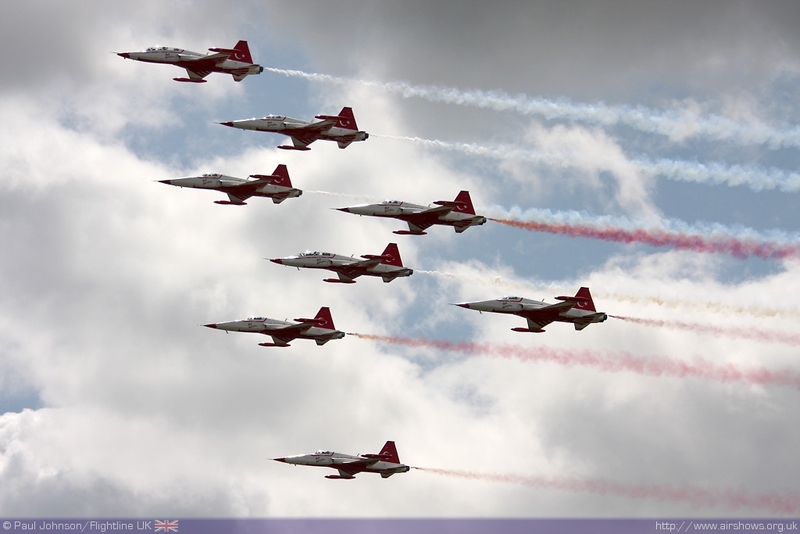 The Waddington International Airshow was as always, a well organised and executed event. 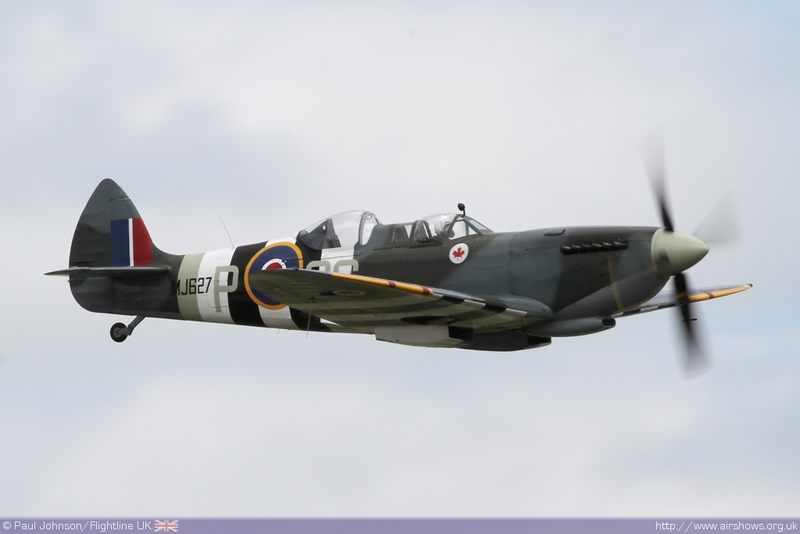 The flying this year was mostly superb encompassing some great displays from the RAF and other arm arms as well as the tributes to the Battle of Britain. 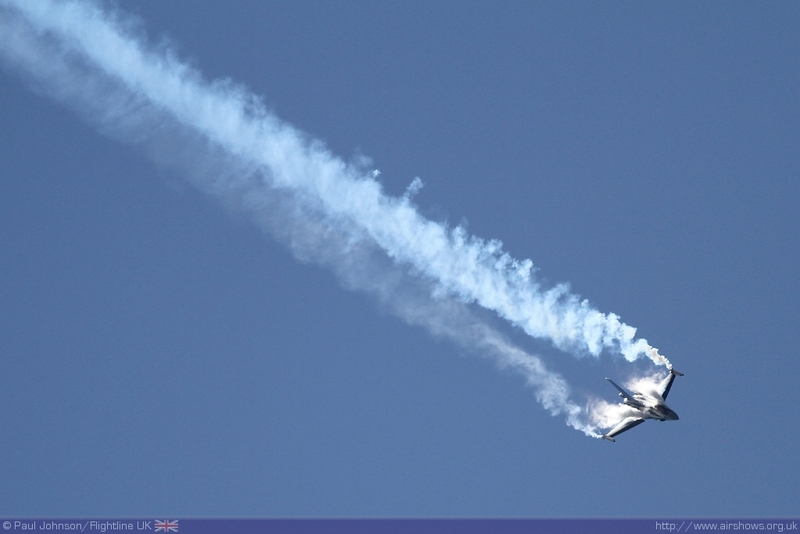 We hope that in future a little more thought could be put into a UAV display in future years. 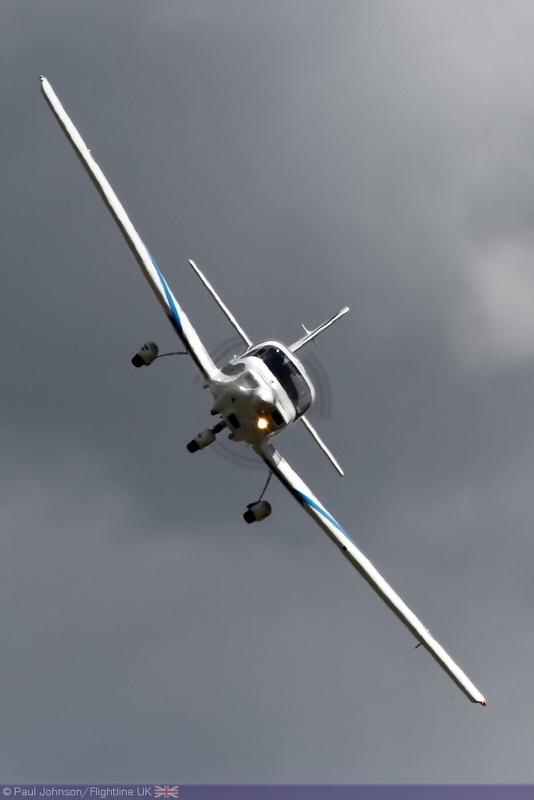 They are a fascinating form of technology and do perform wonders for the armed forces, but unless the larger more potent UAV's can be incorporated into a display there is no way they will ever capture the public's imagination. 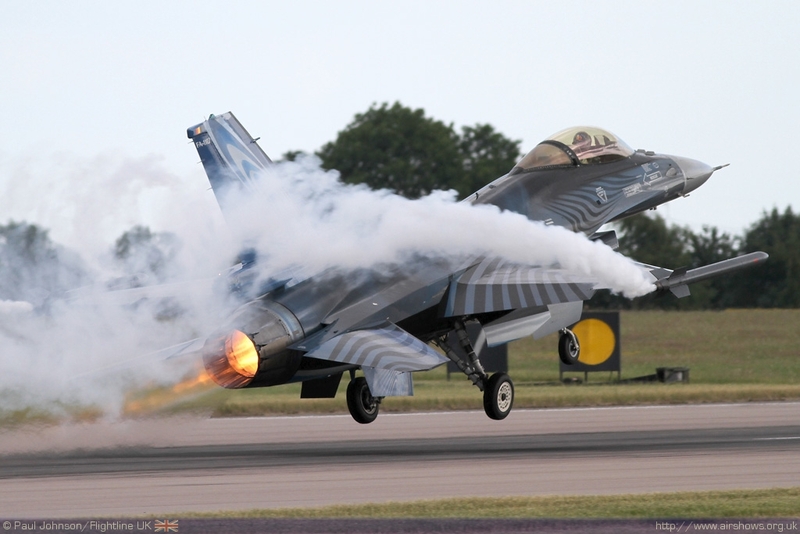 However, we must say well done to all at RAF Waddington for a great show and hope to see you again in 2011.